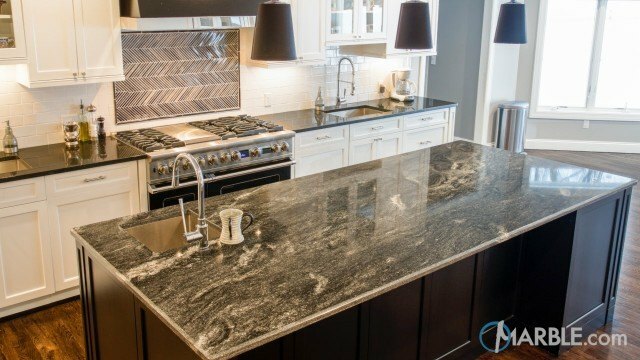 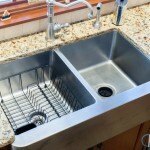 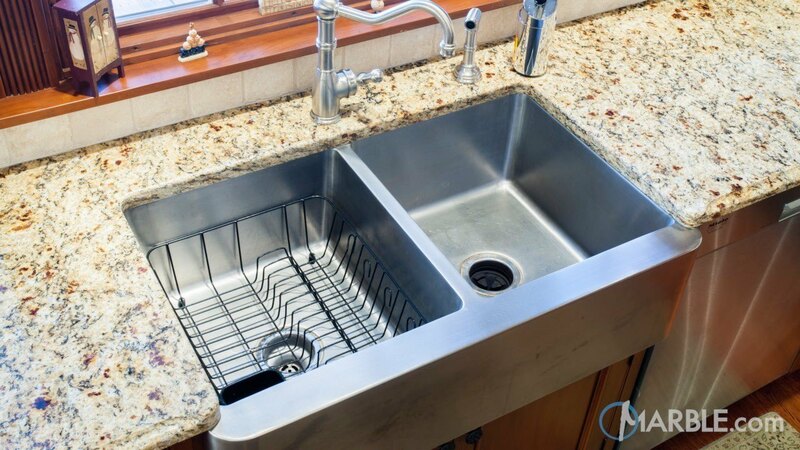 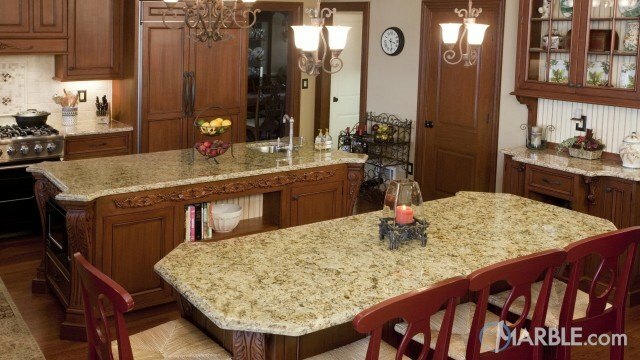 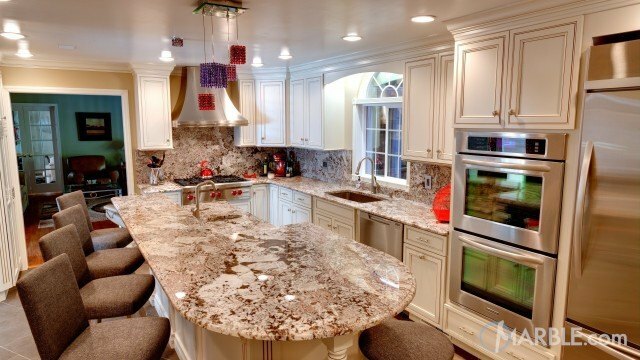 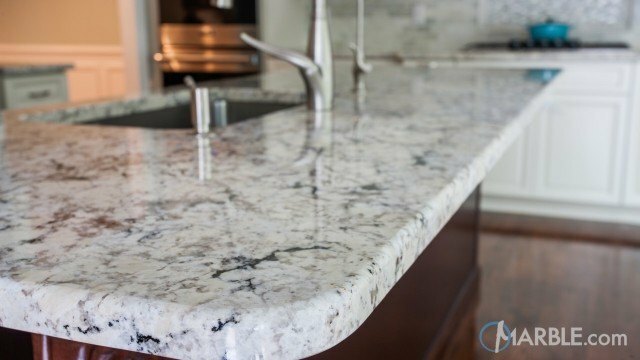 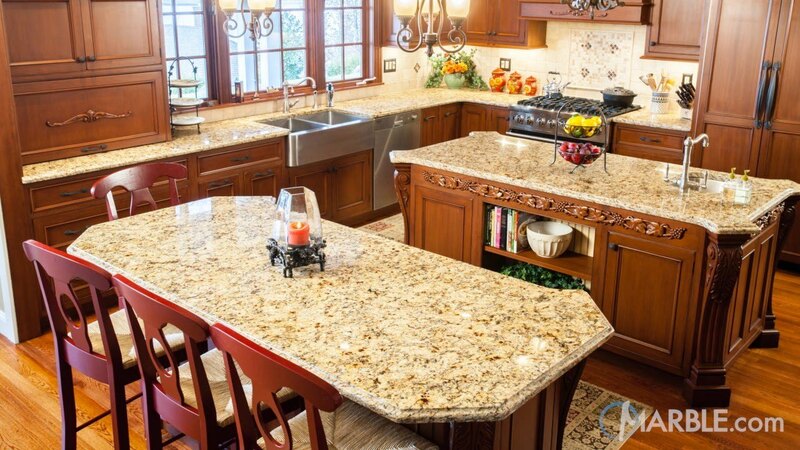 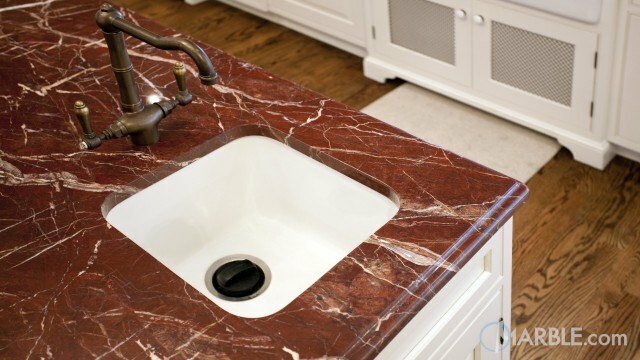 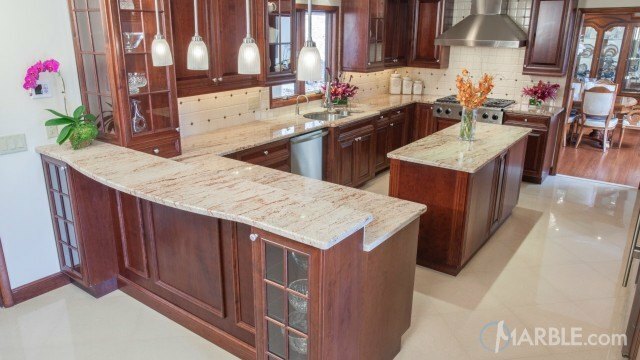 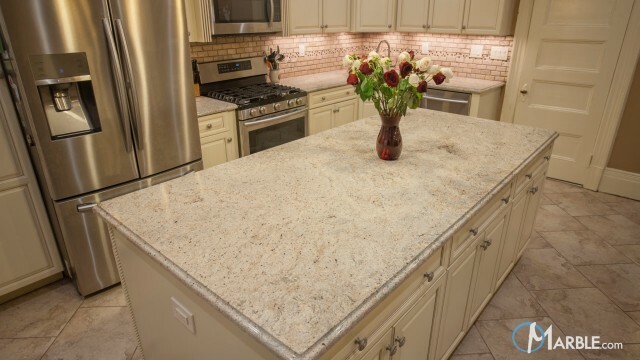 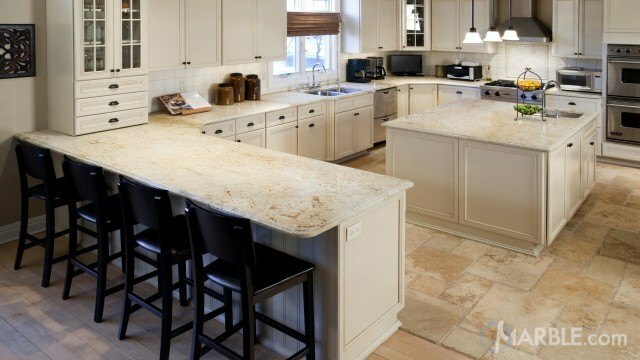 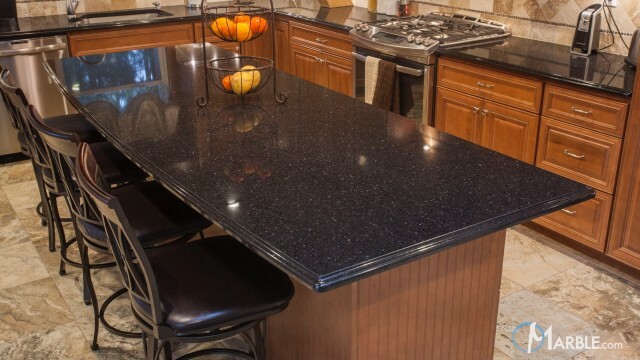 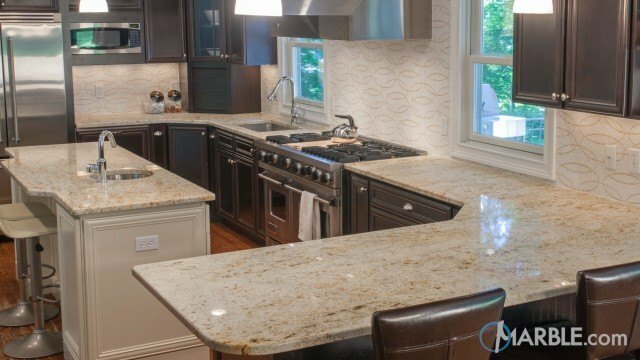 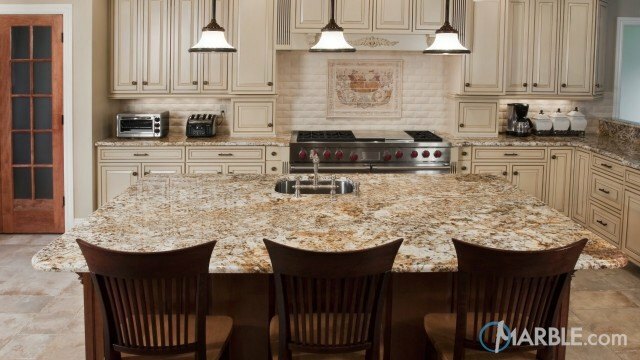 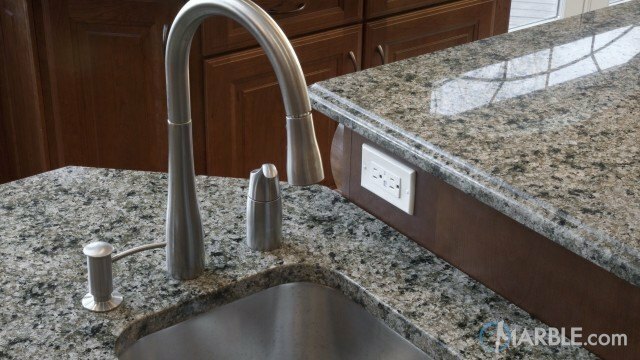 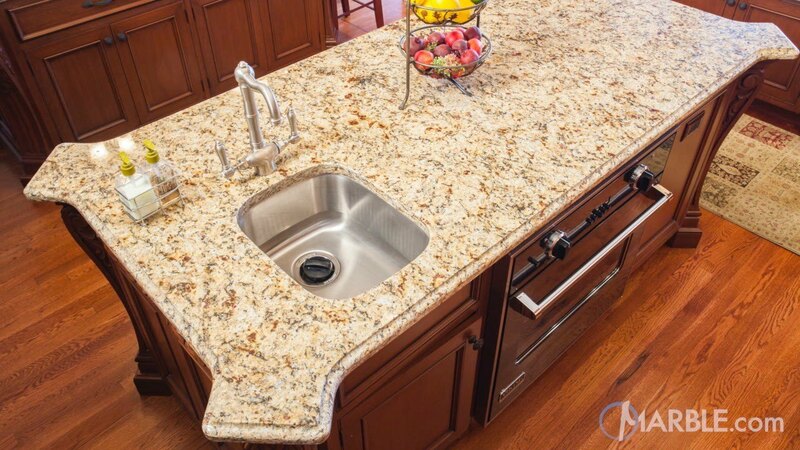 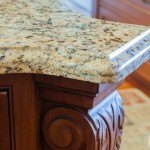 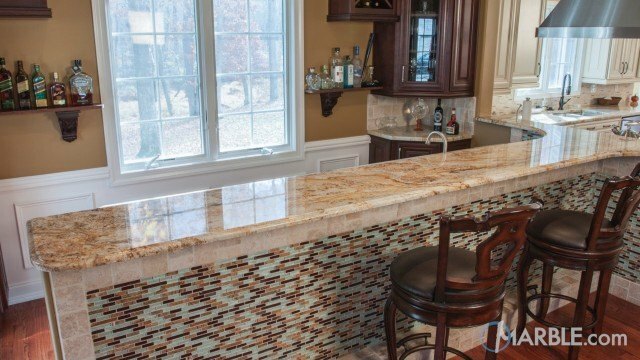 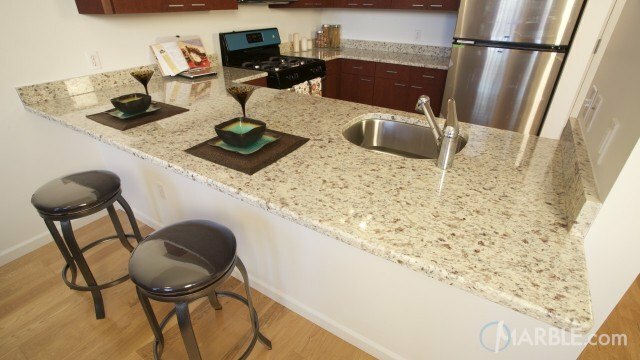 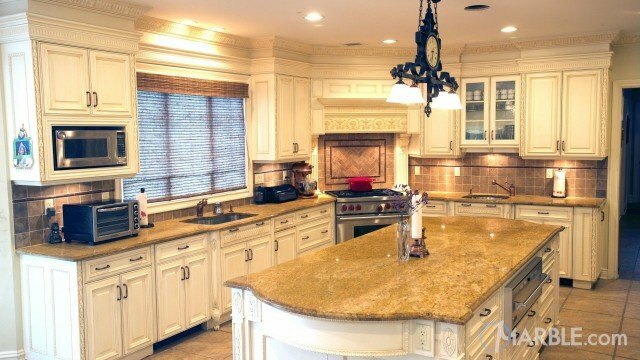 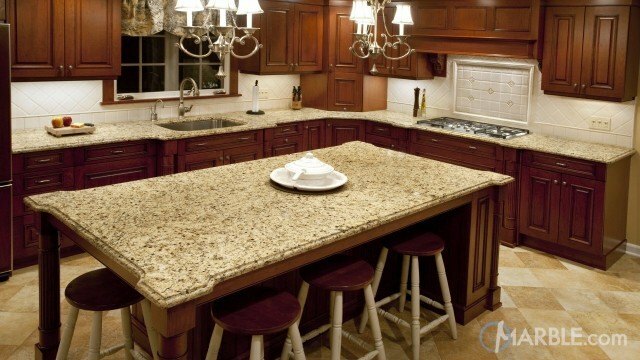 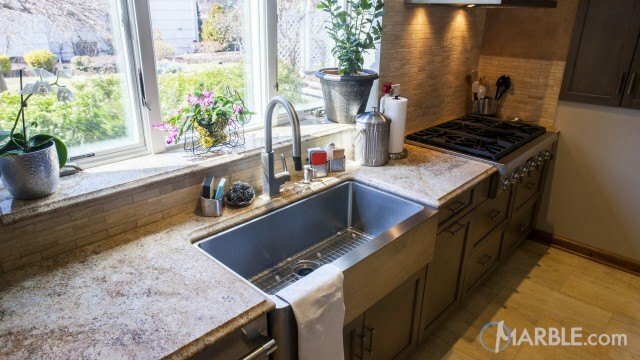 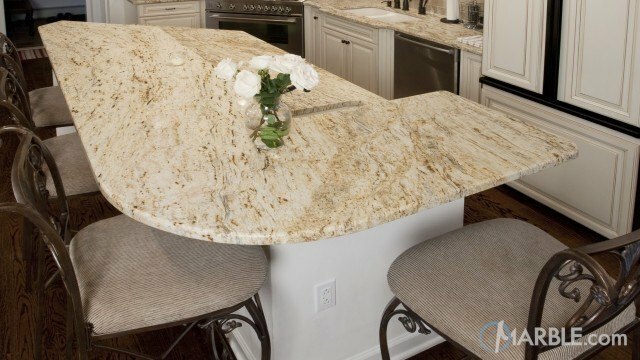 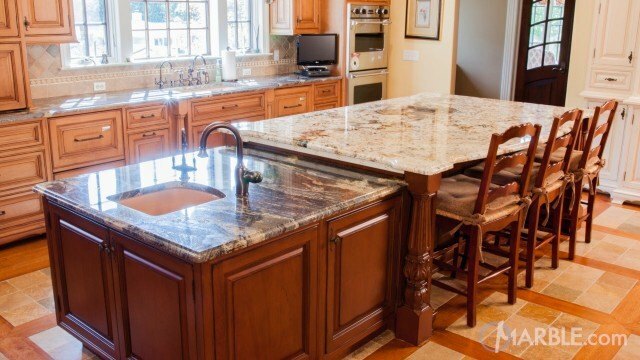 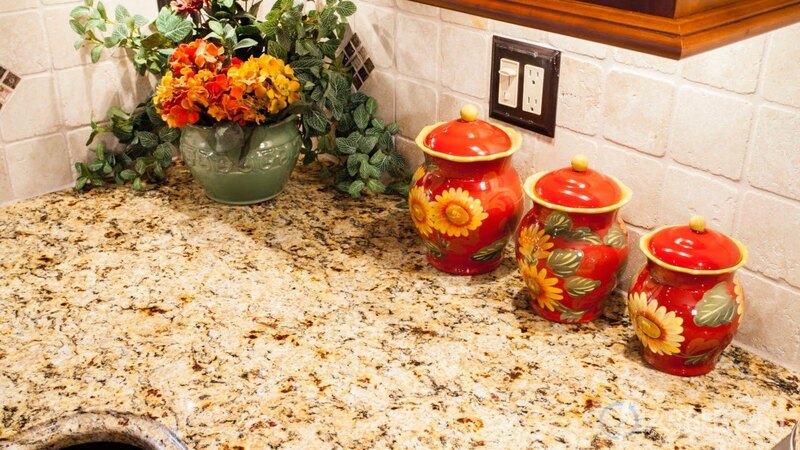 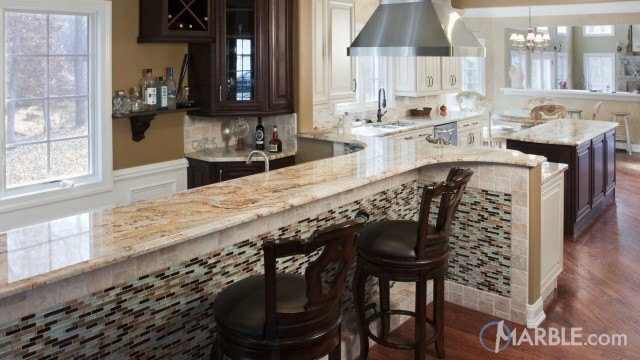 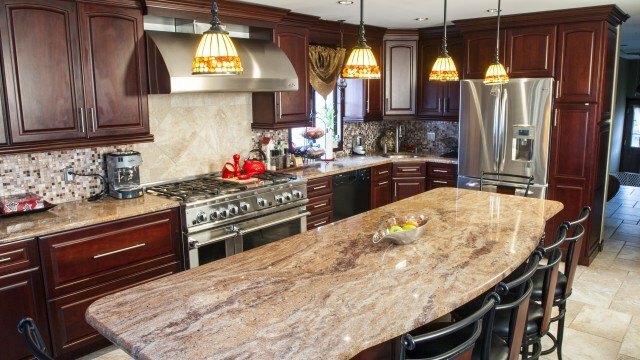 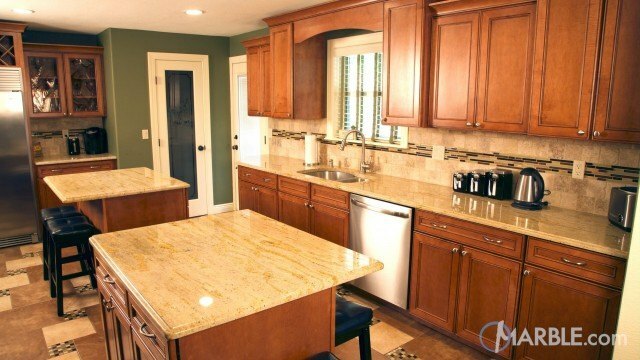 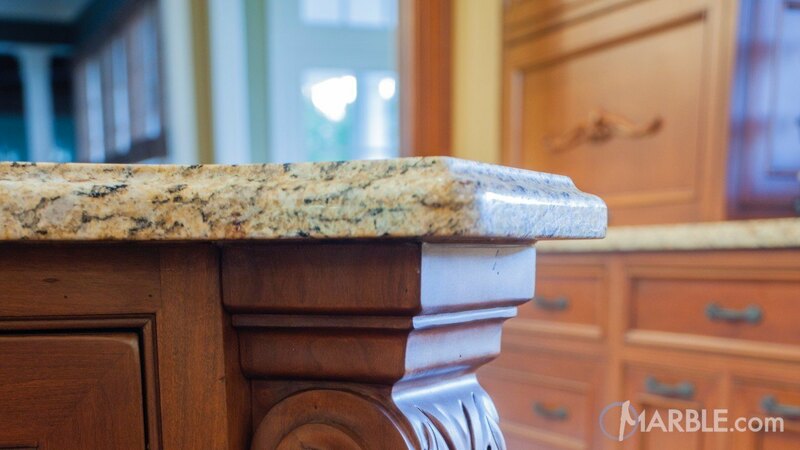 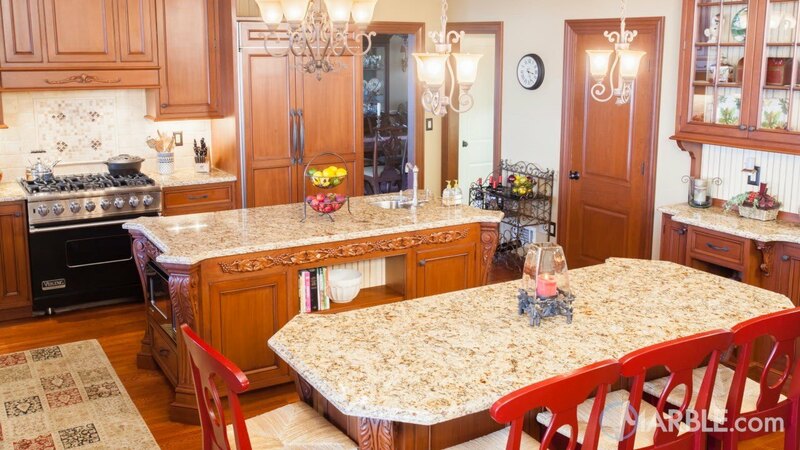 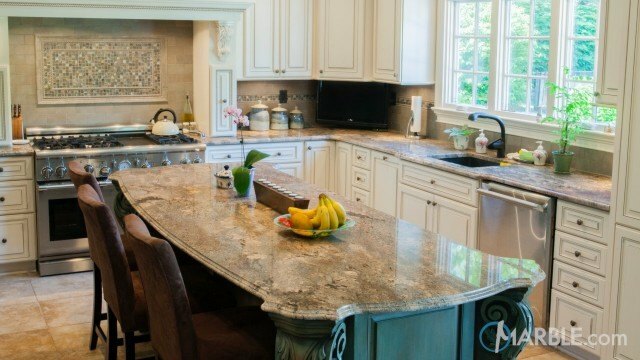 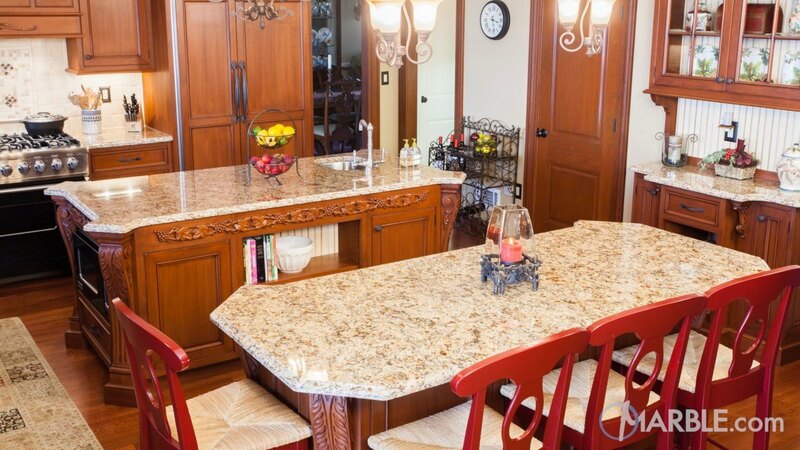 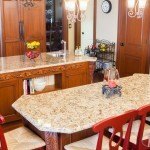 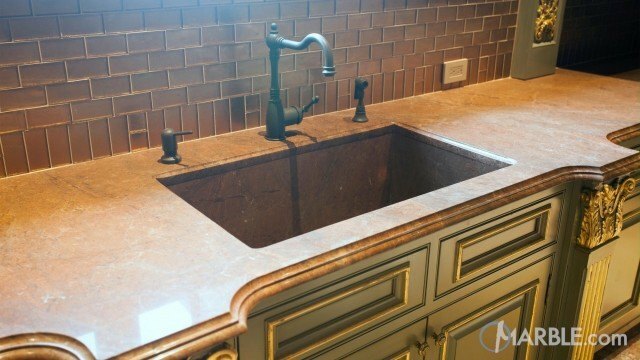 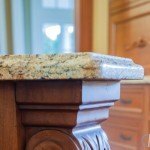 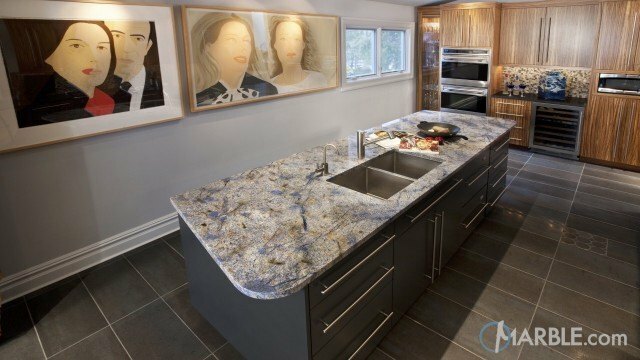 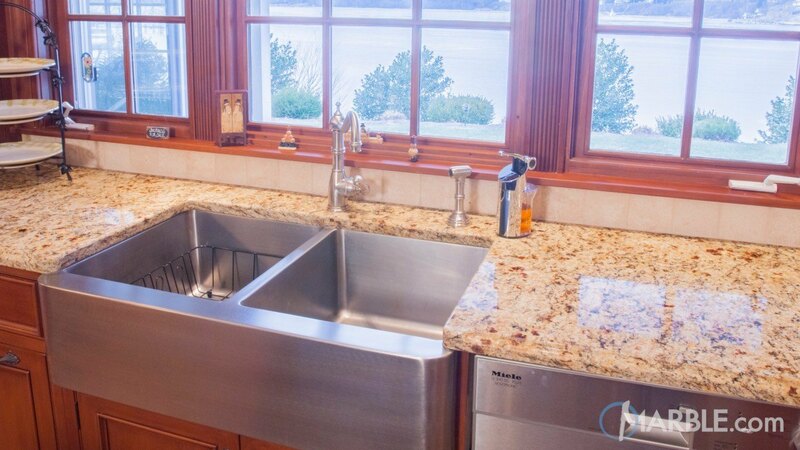 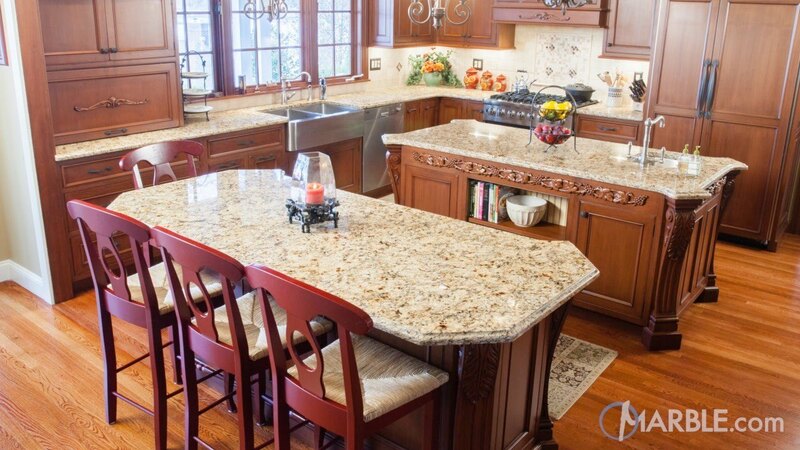 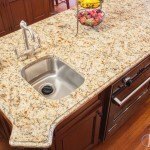 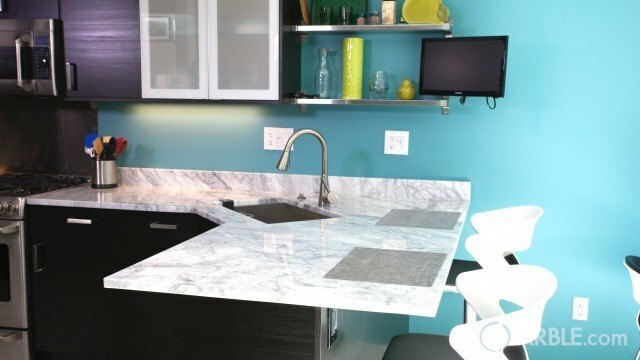 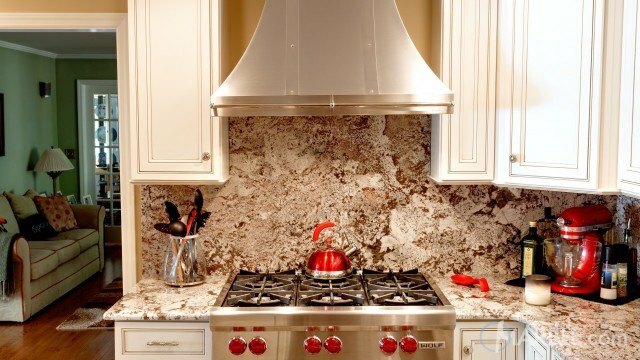 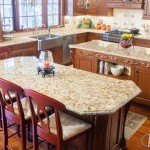 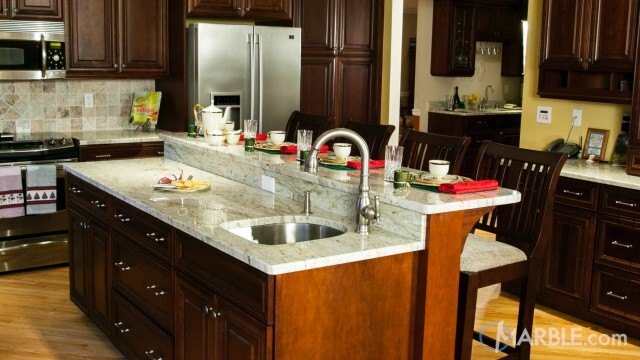 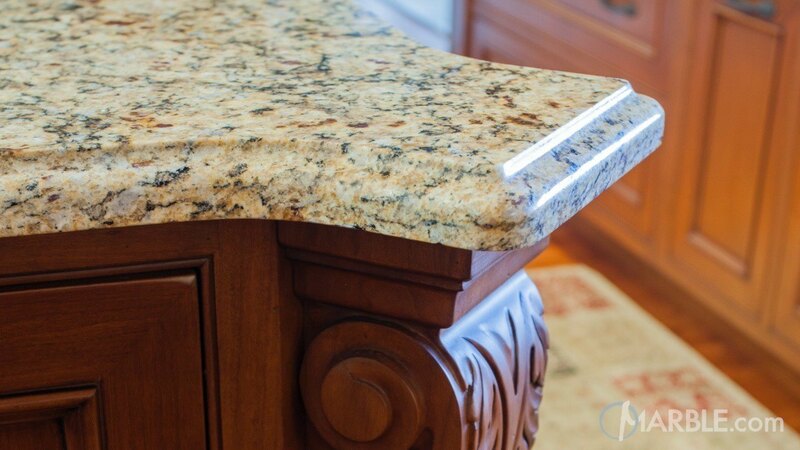 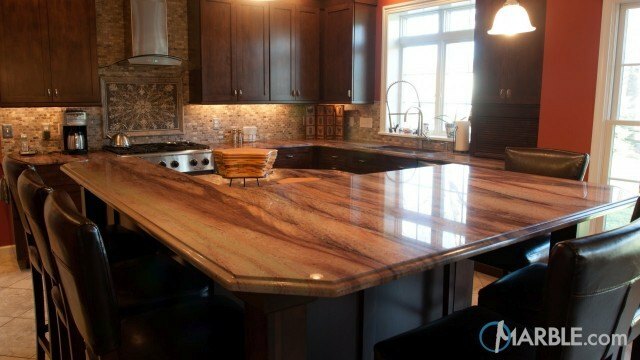 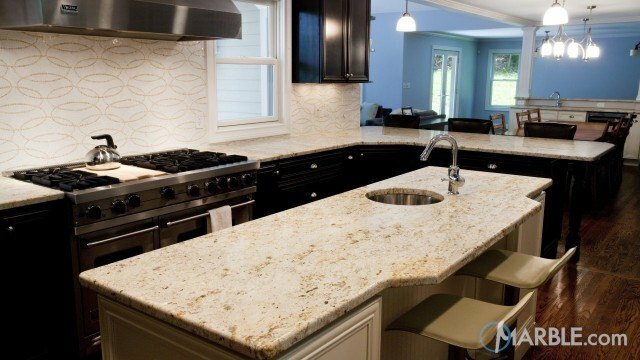 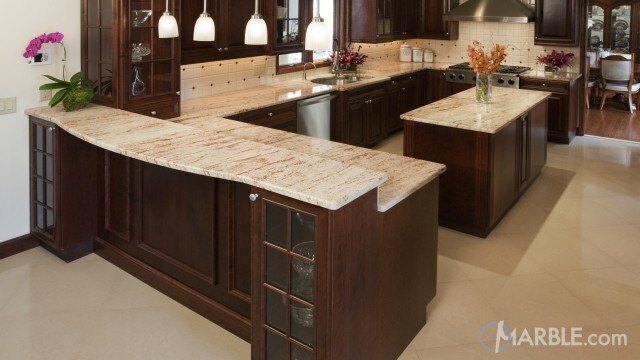 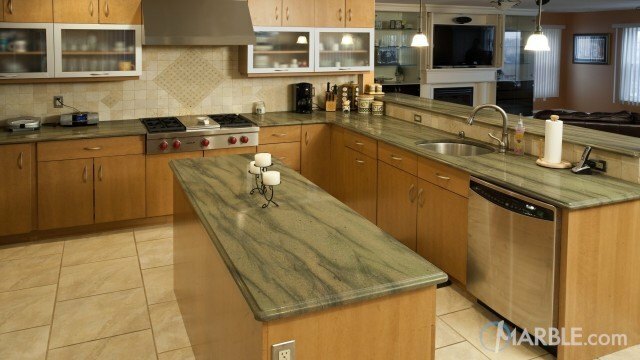 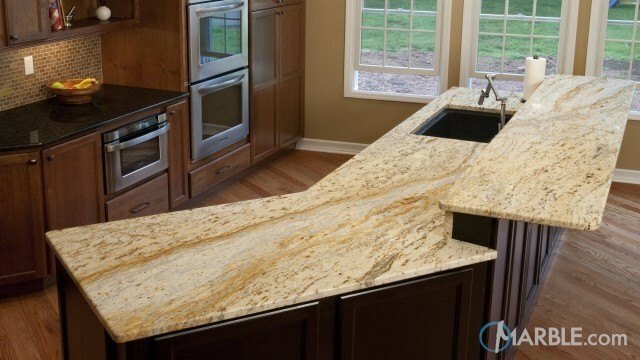 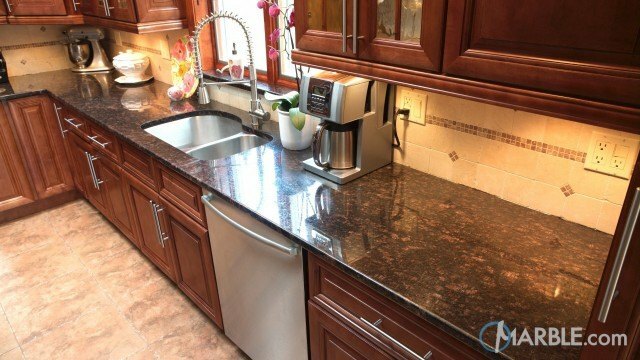 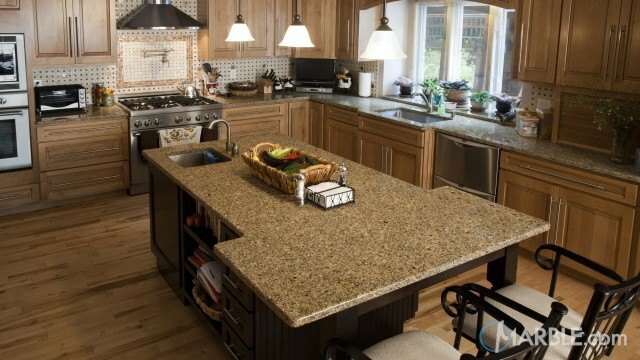 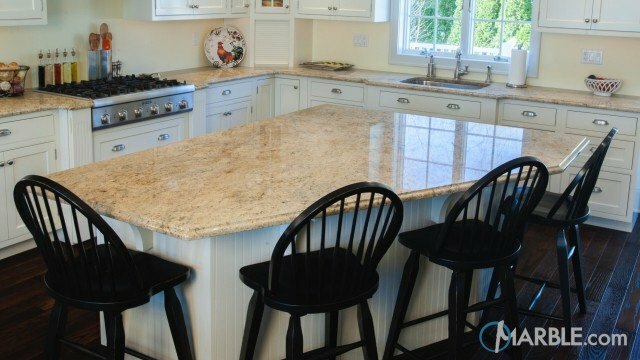 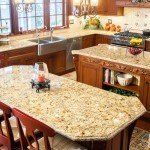 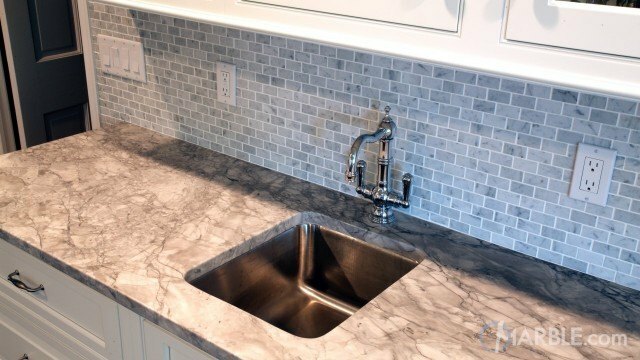 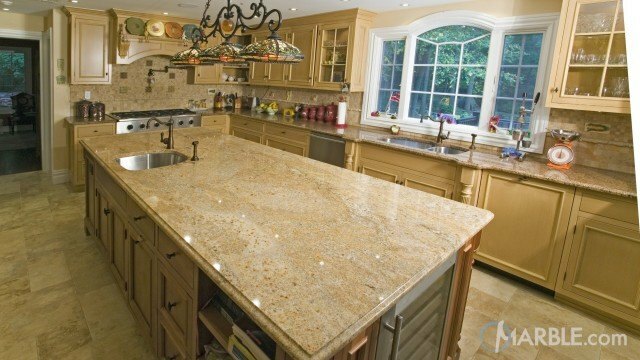 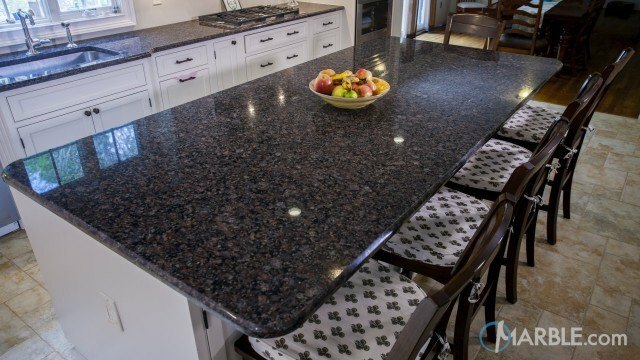 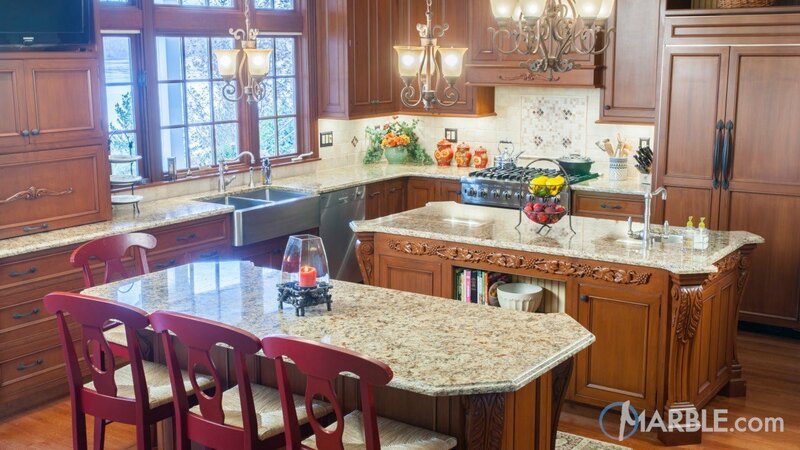 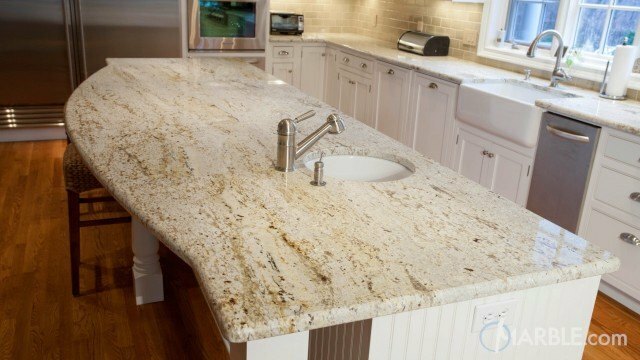 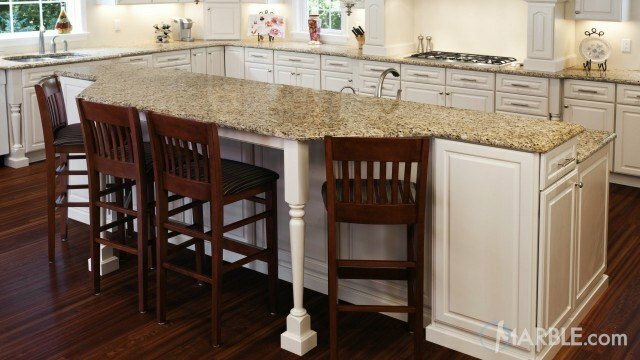 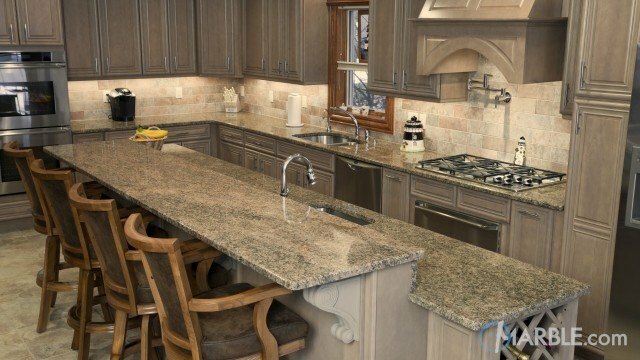 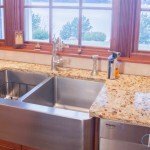 Oro Brasil (AKA Santa Cecilia) granite is a very popular counter top material because of its soft but elegant look. 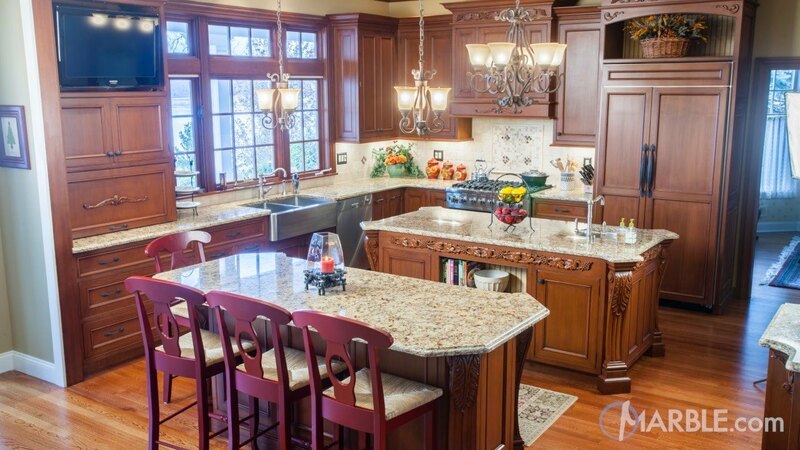 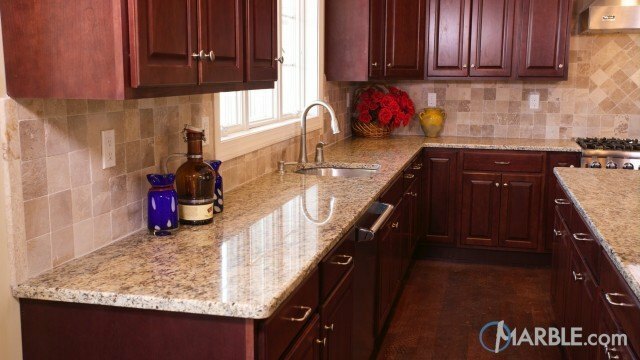 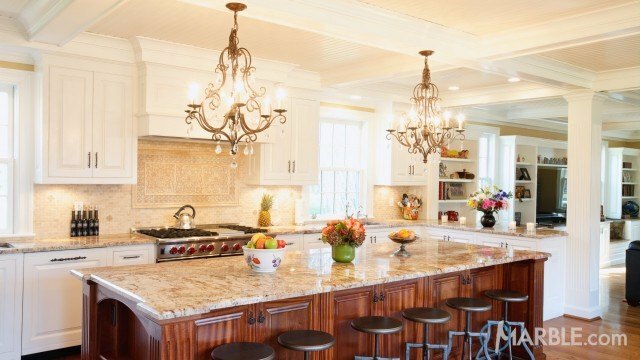 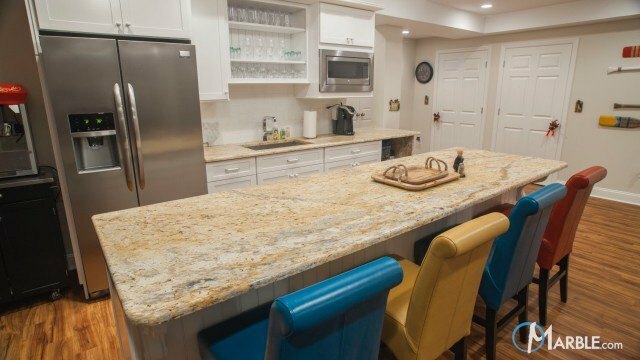 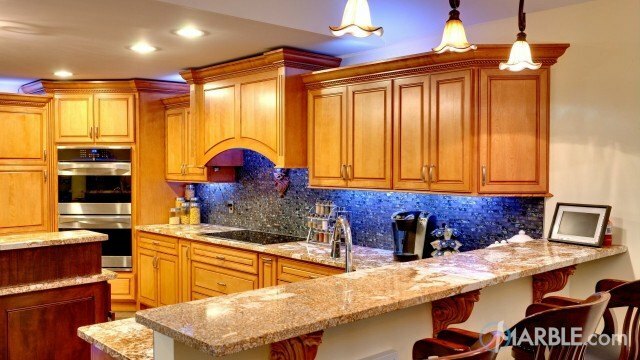 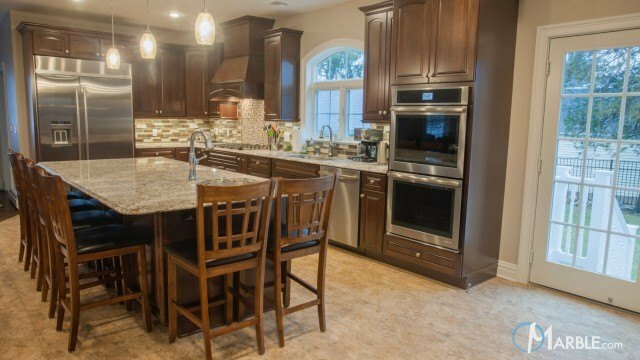 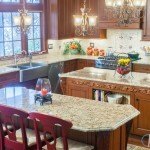 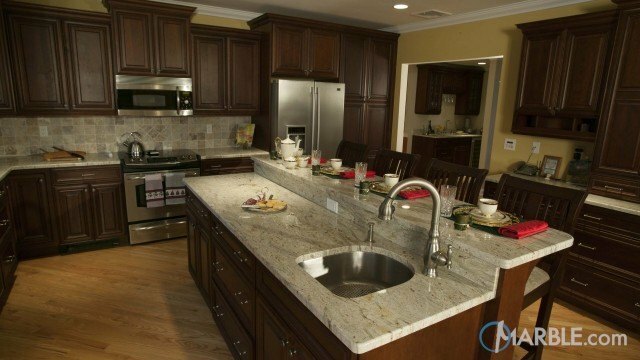 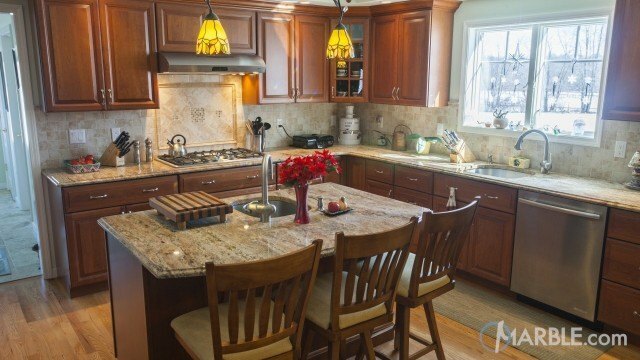 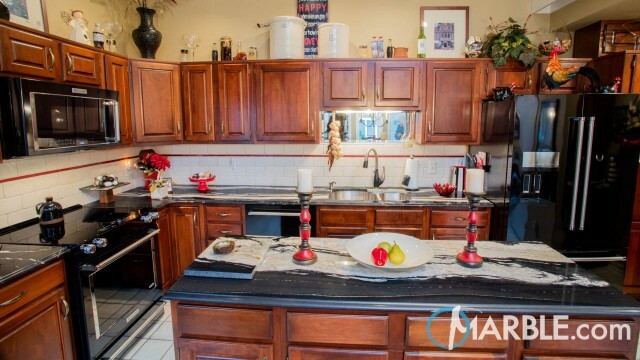 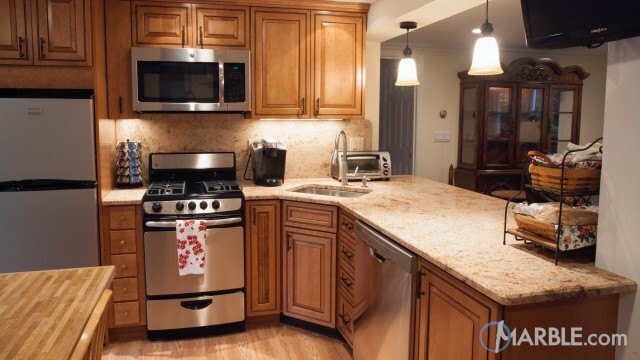 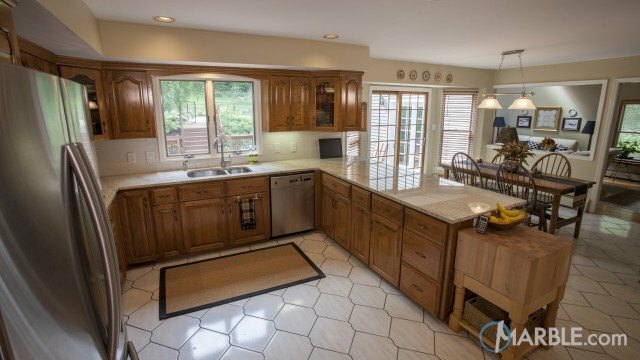 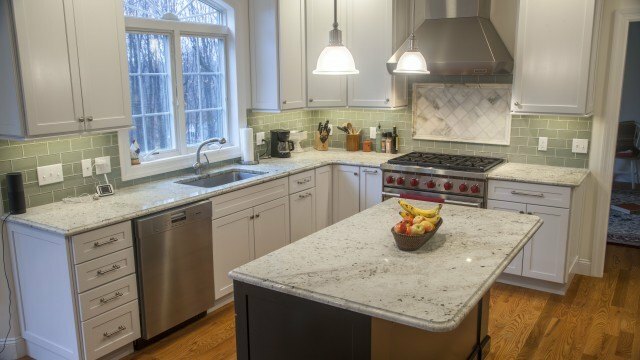 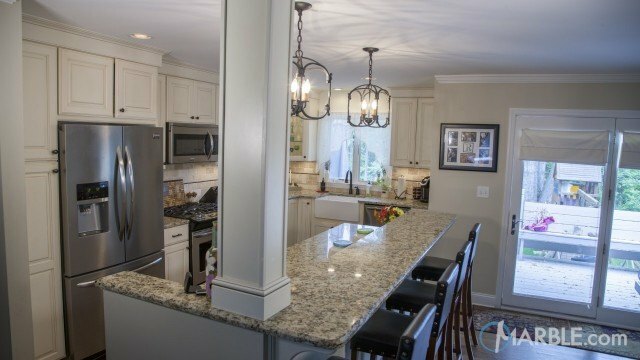 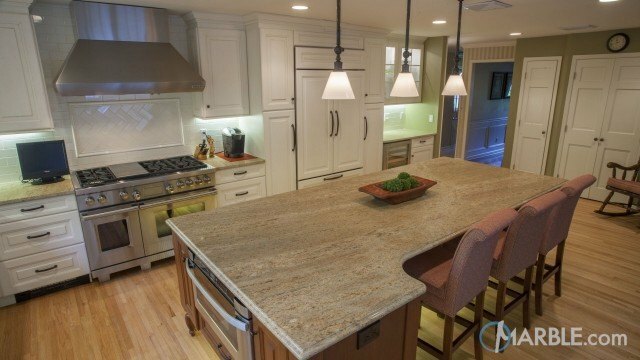 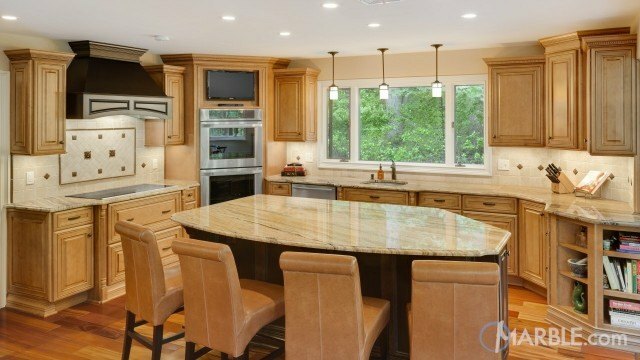 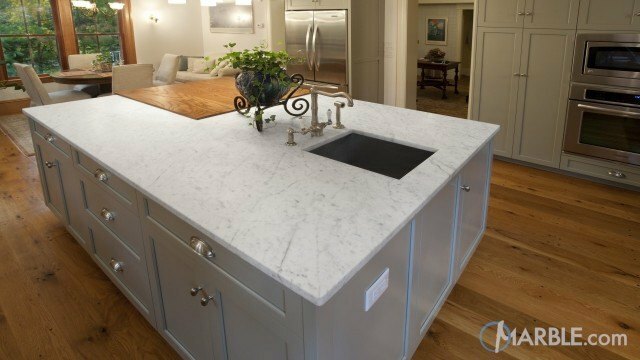 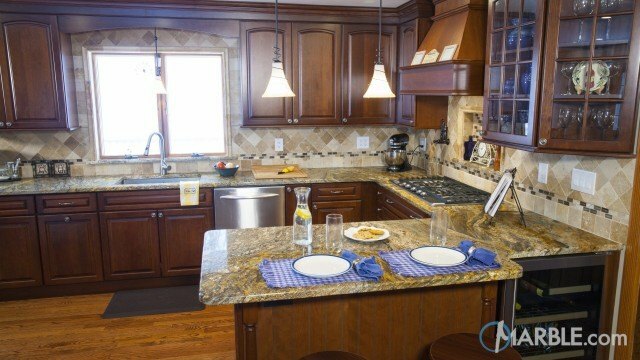 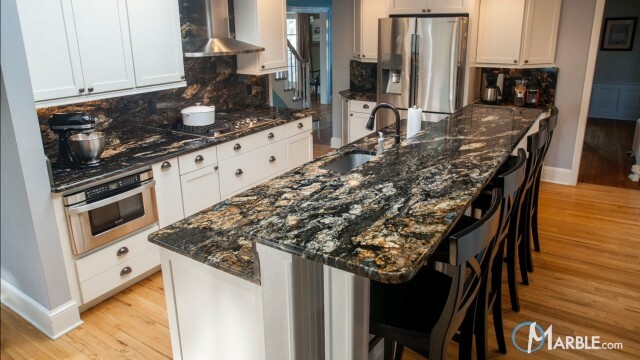 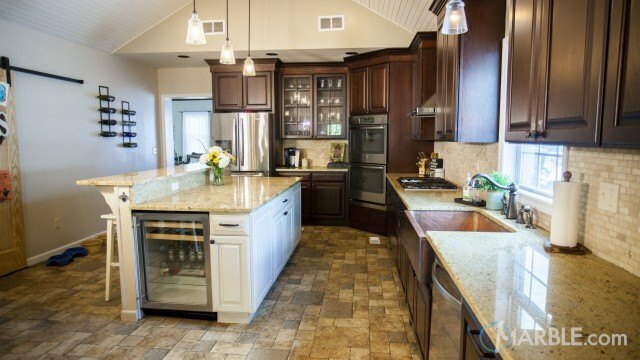 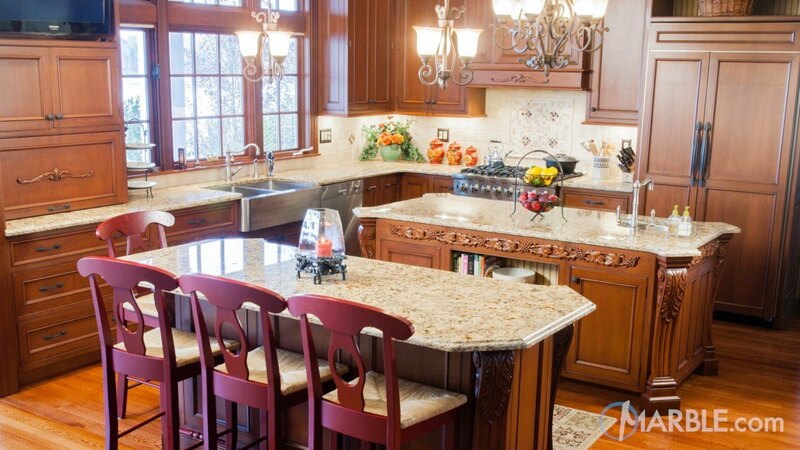 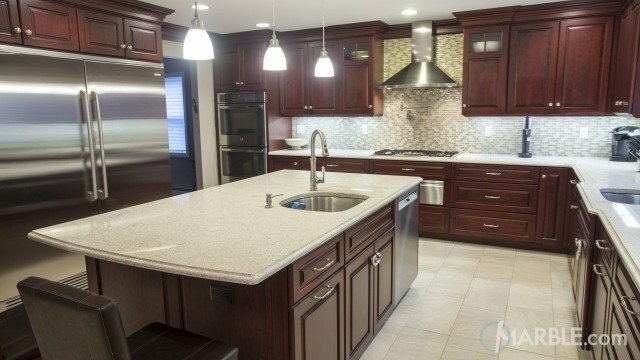 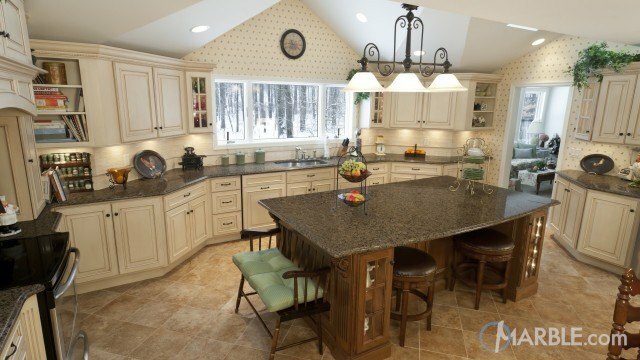 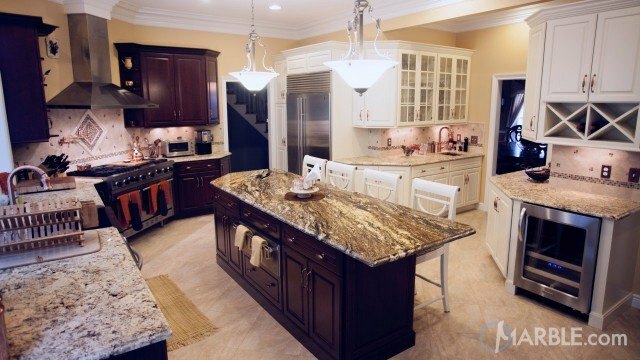 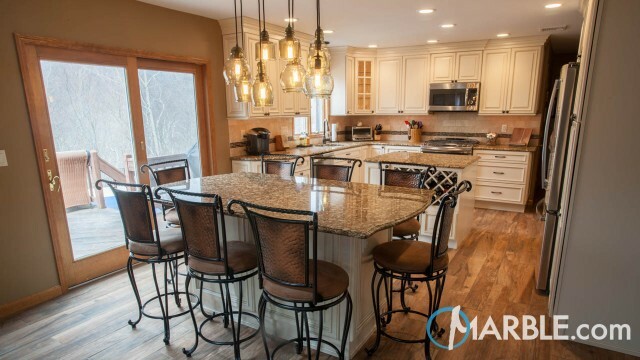 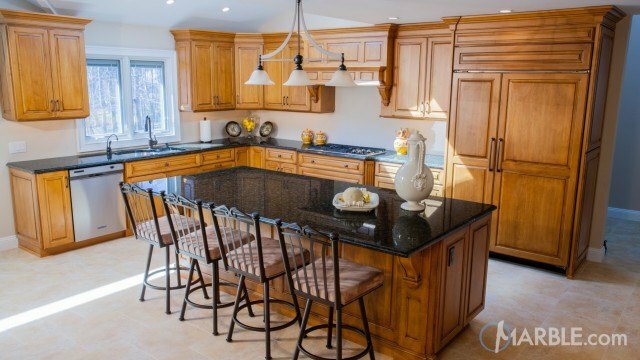 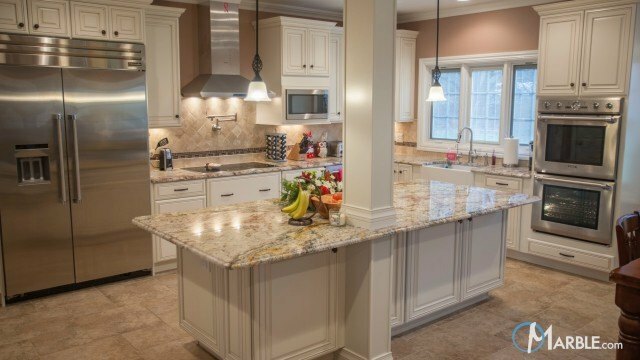 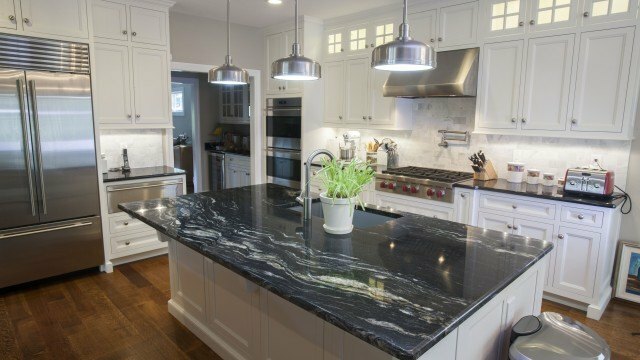 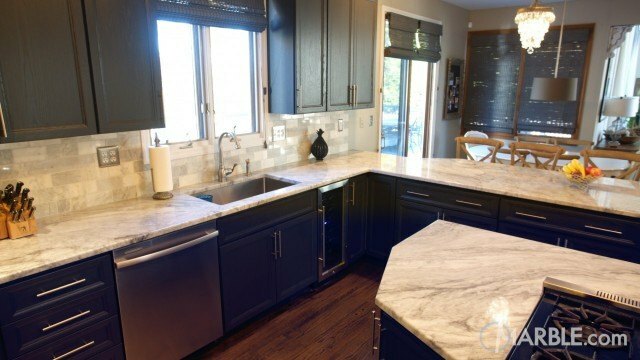 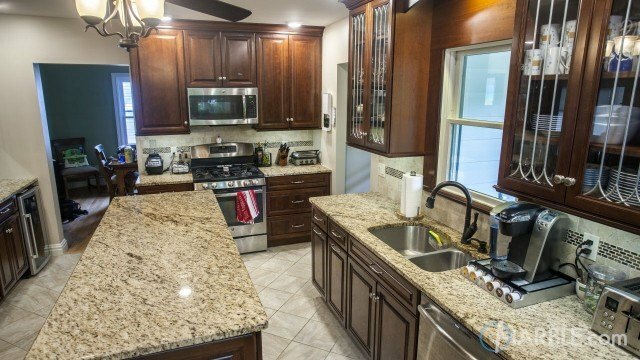 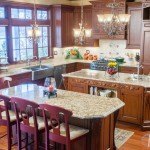 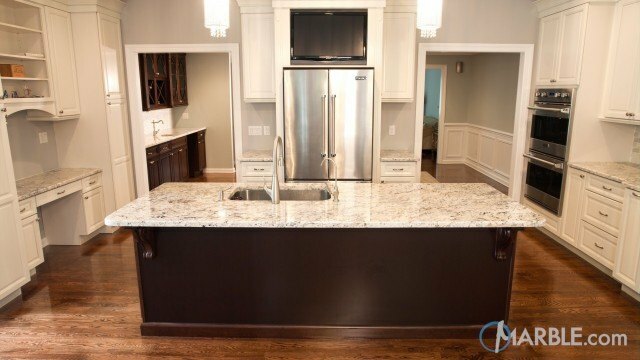 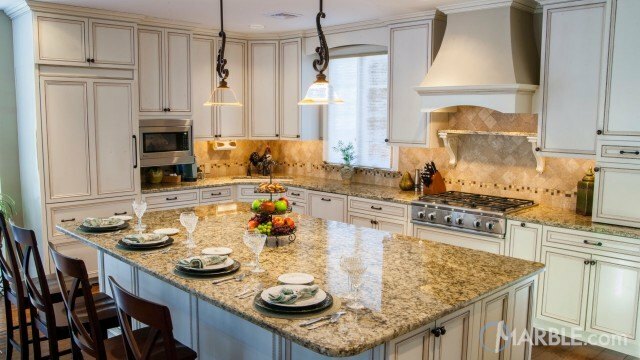 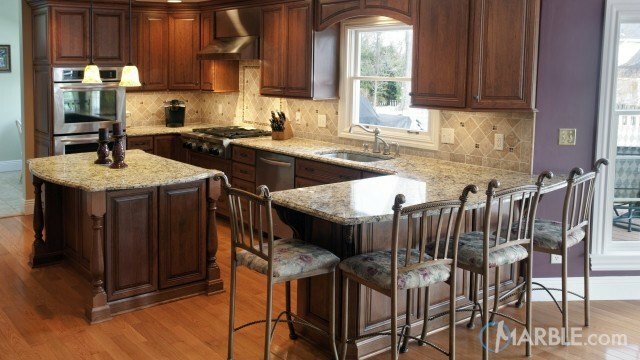 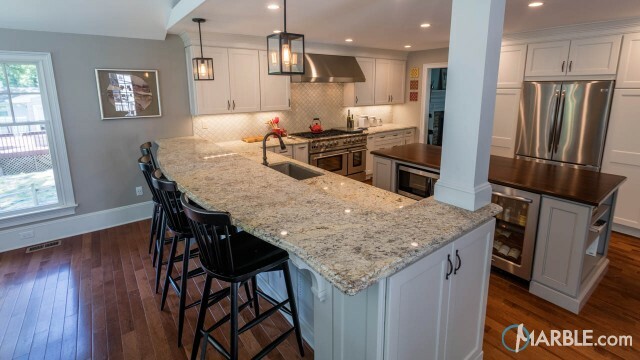 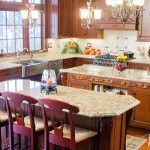 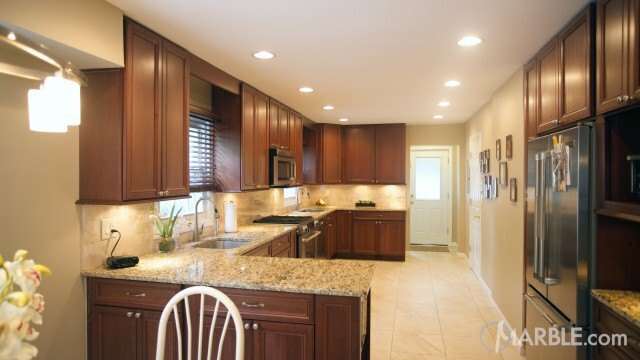 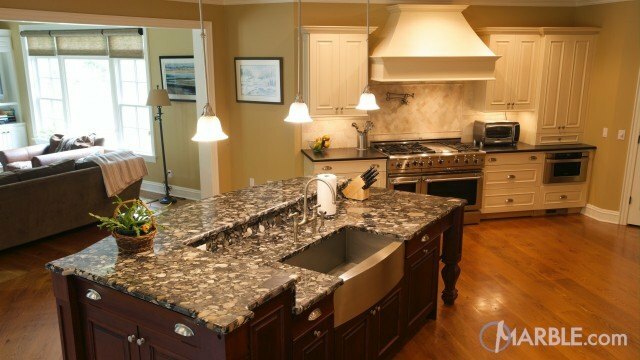 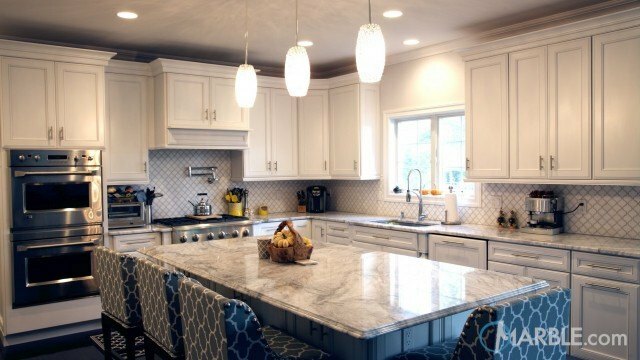 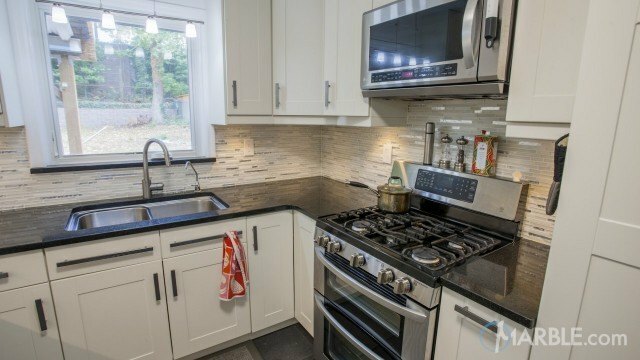 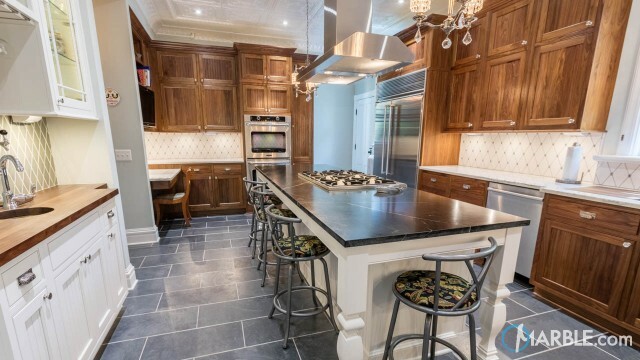 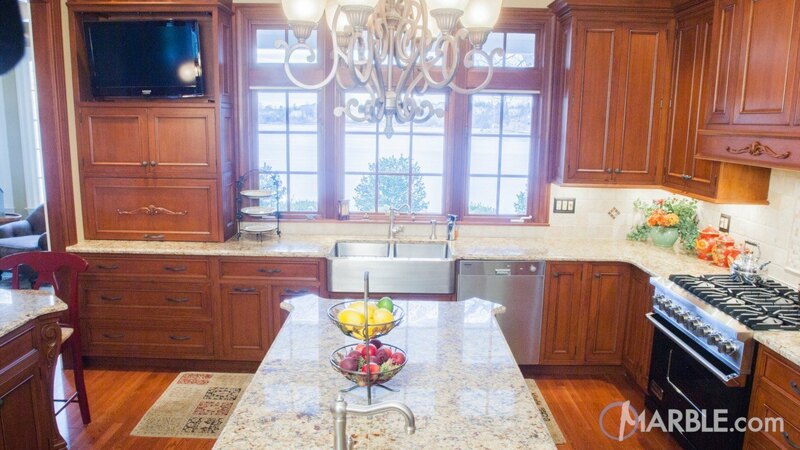 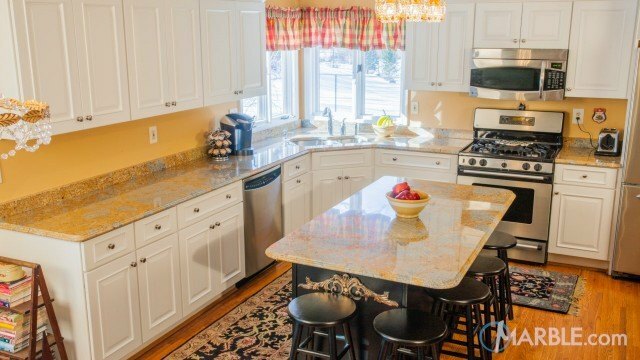 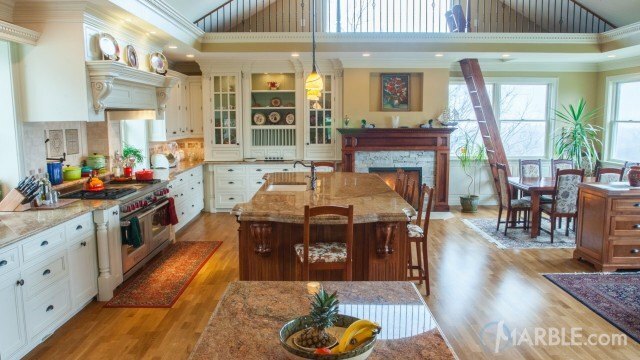 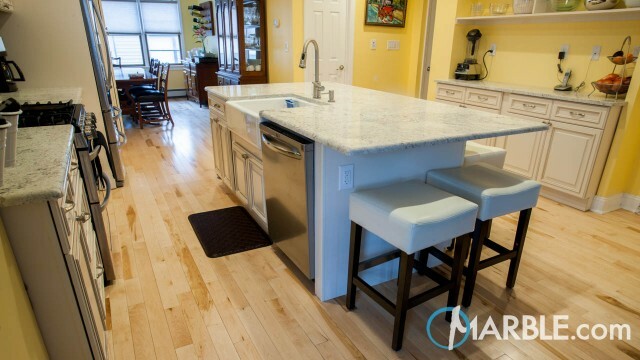 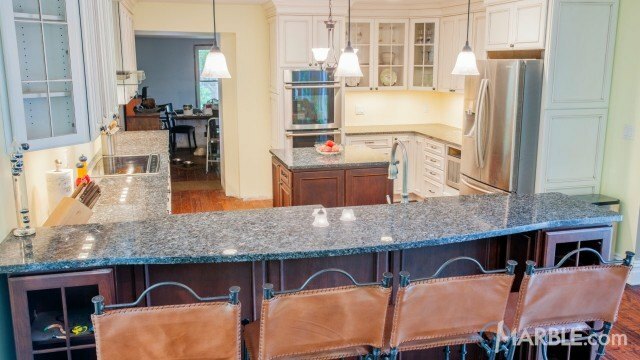 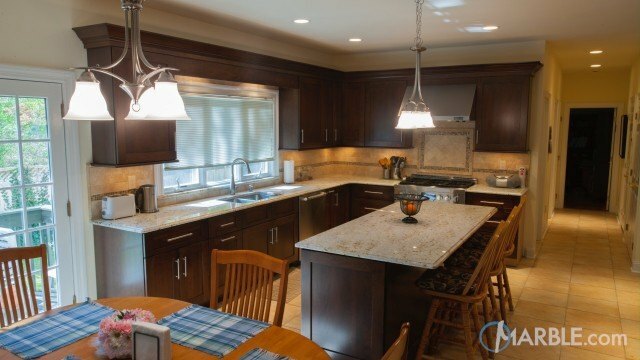 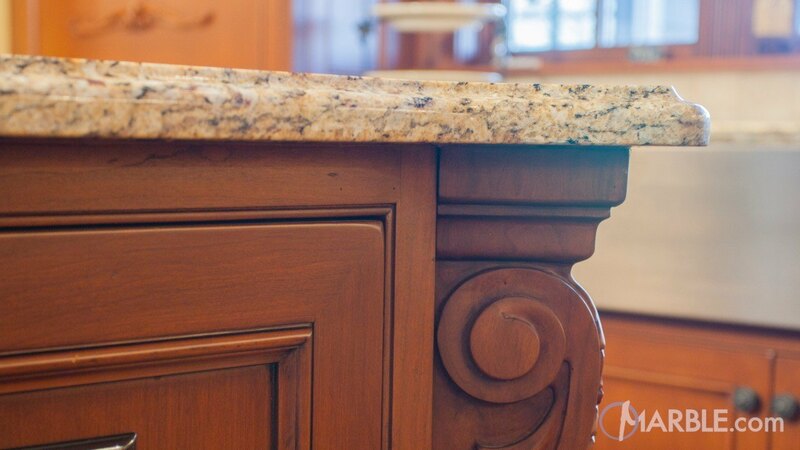 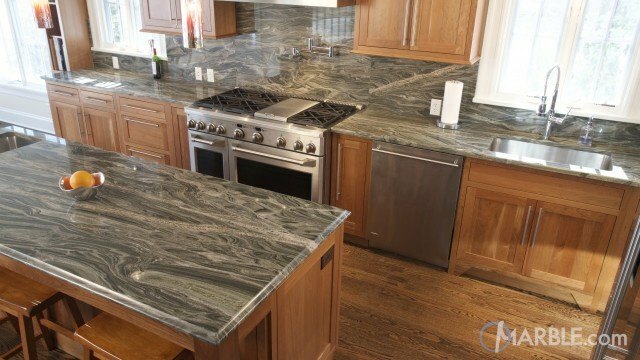 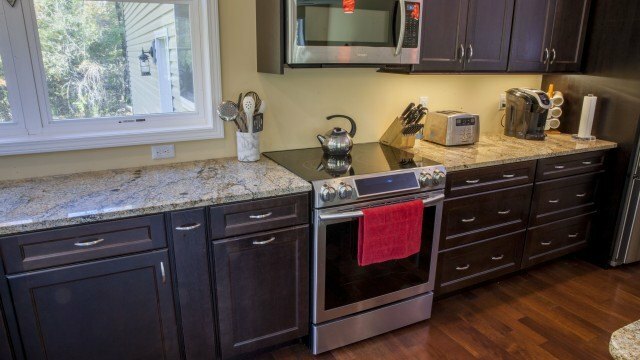 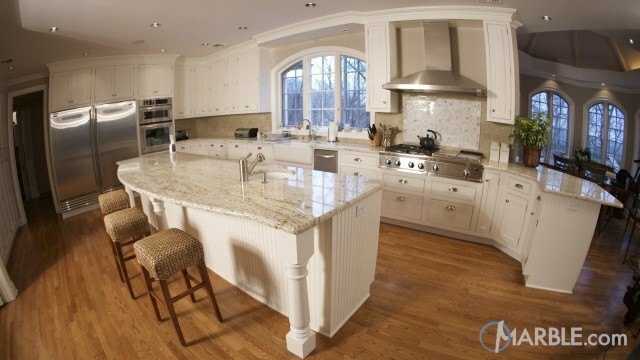 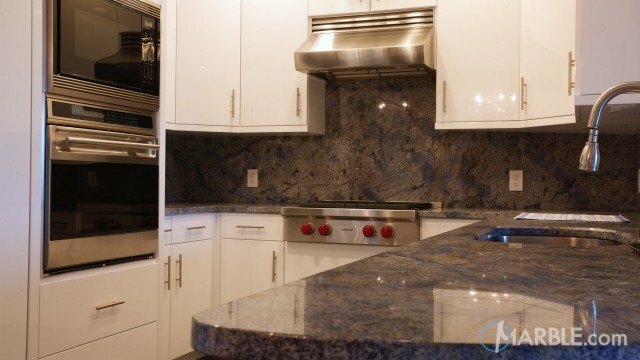 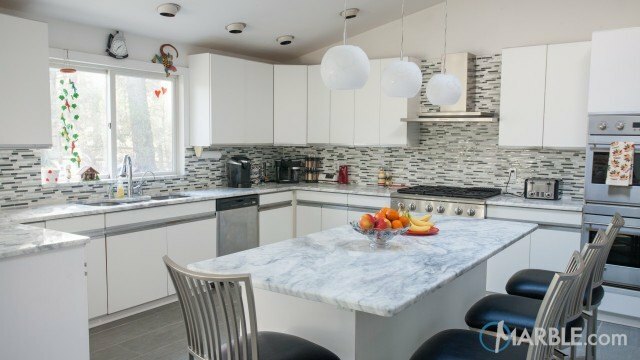 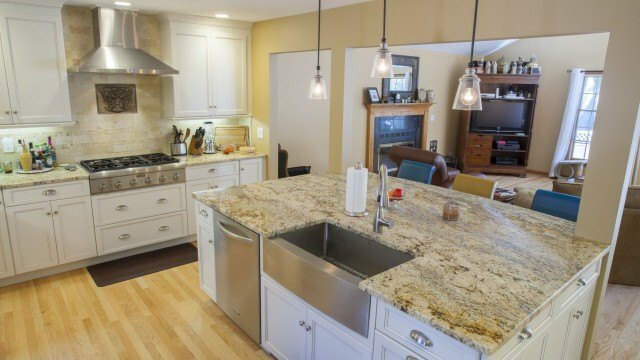 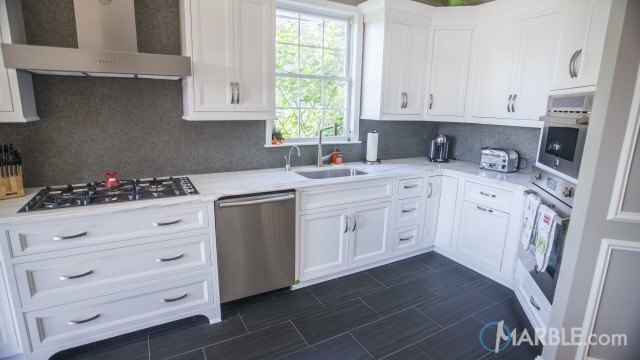 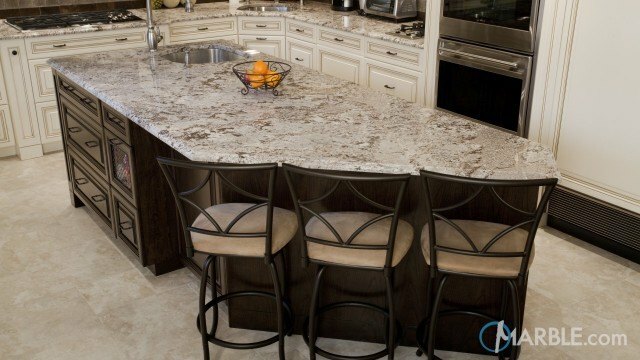 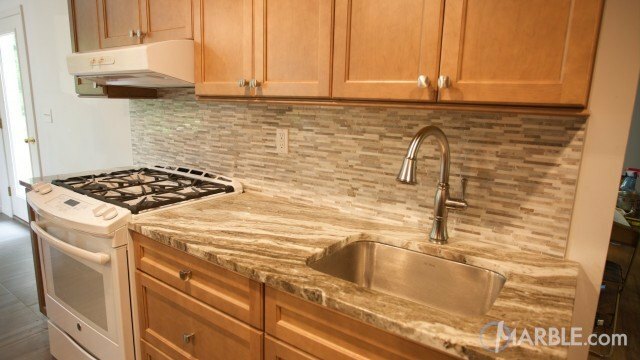 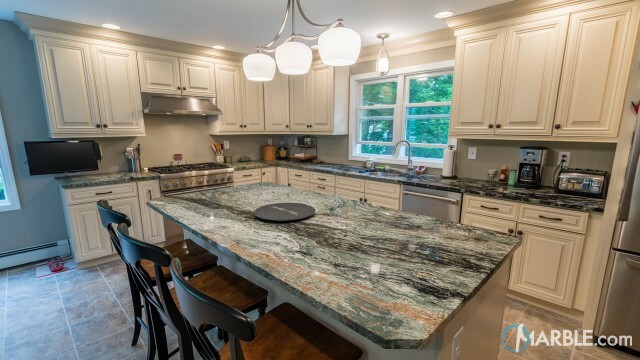 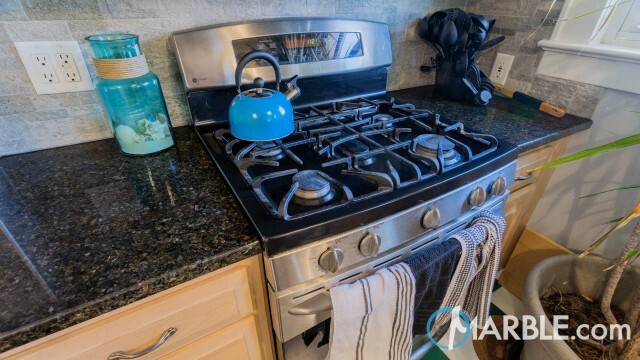 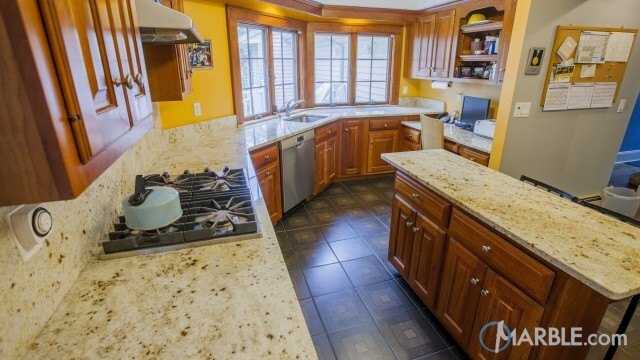 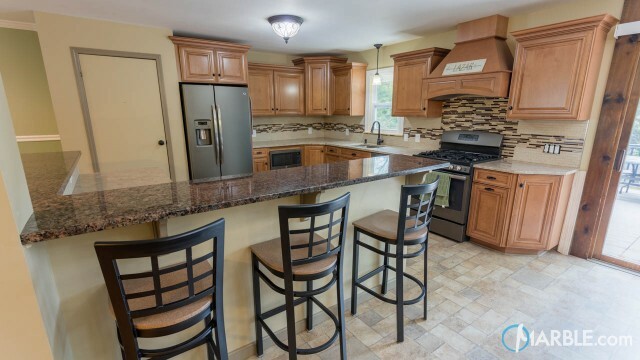 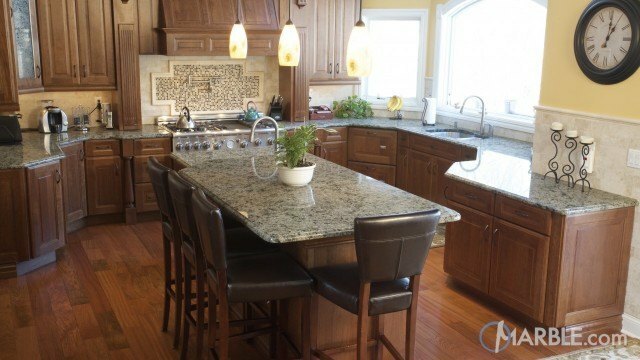 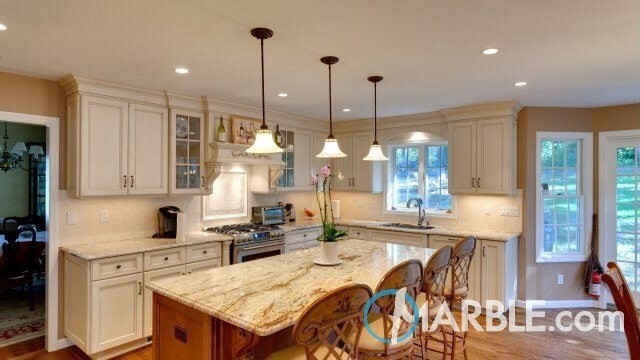 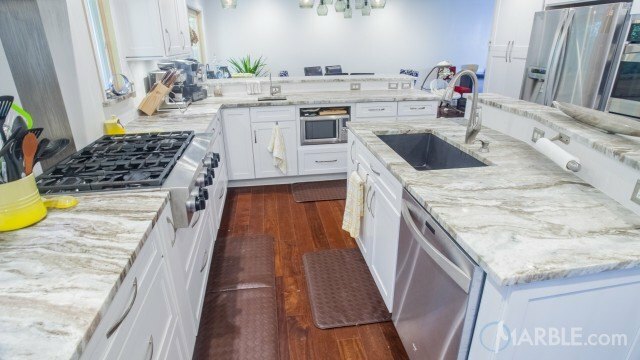 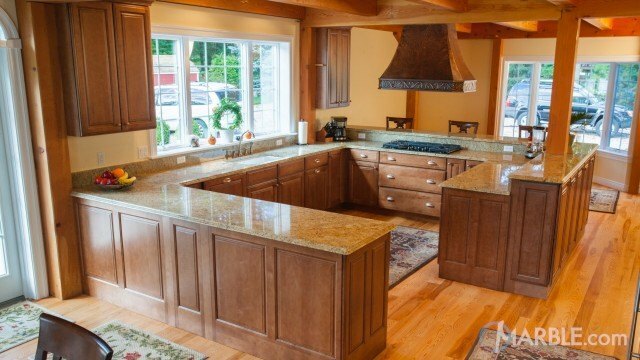 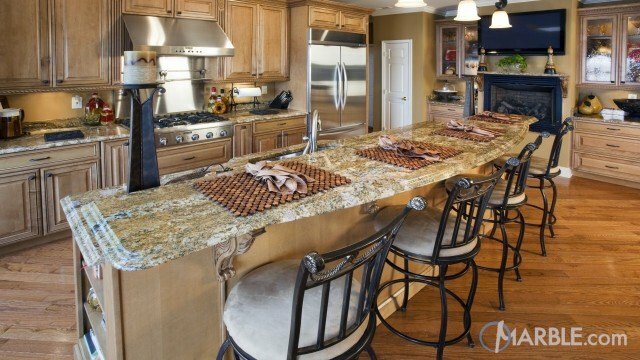 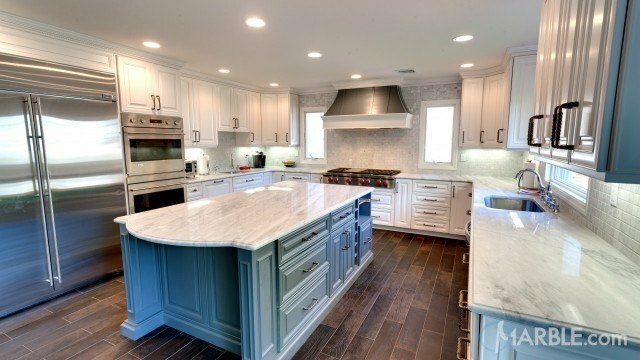 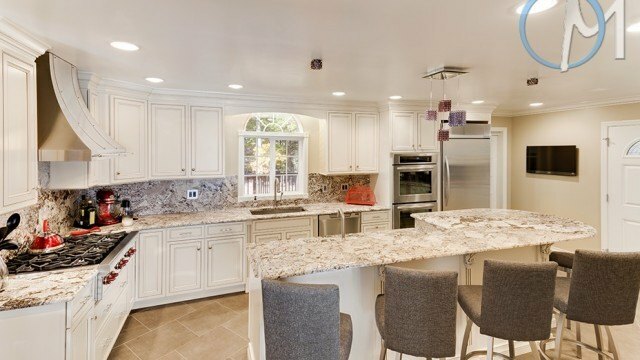 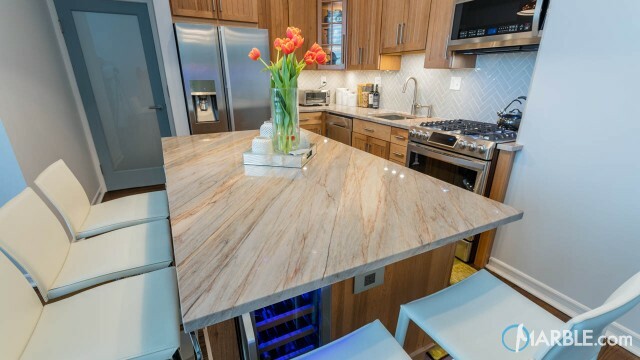 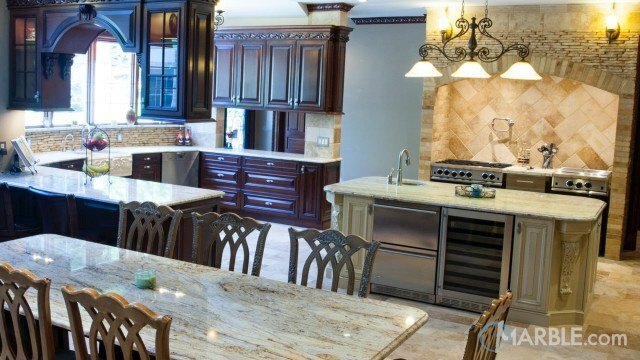 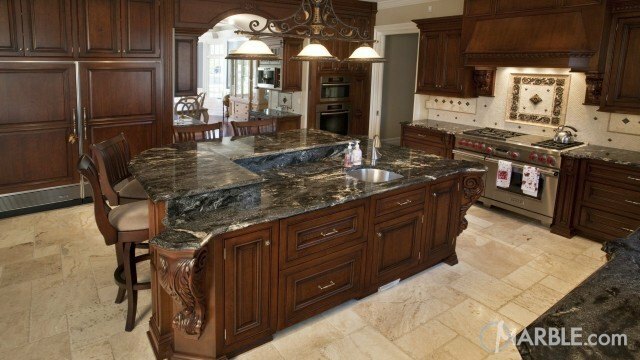 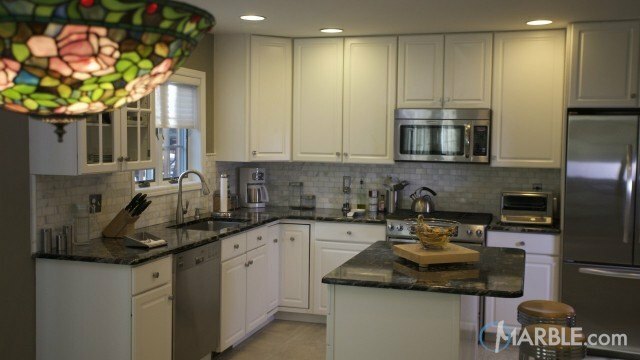 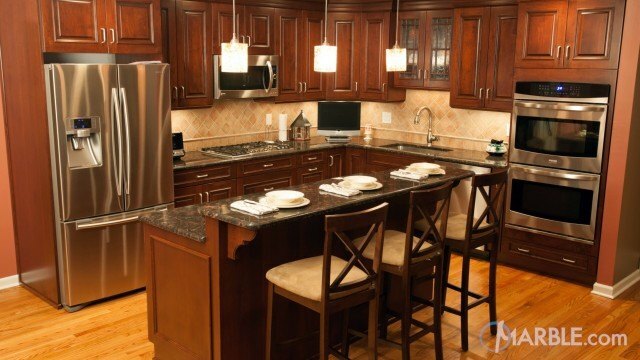 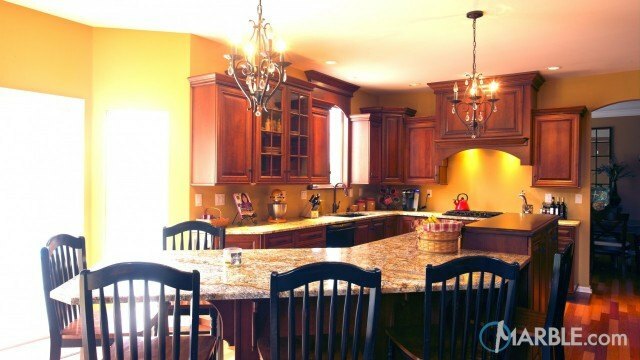 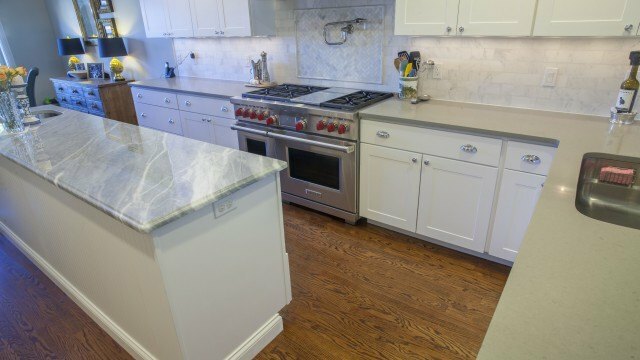 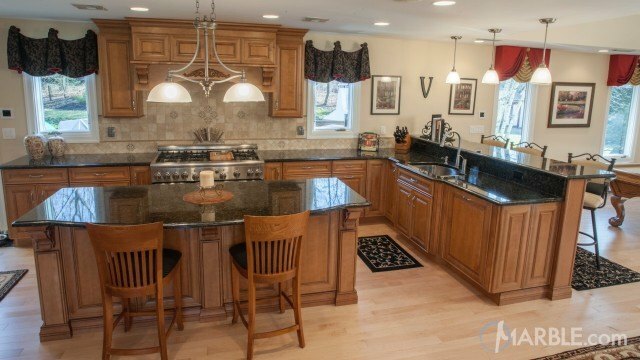 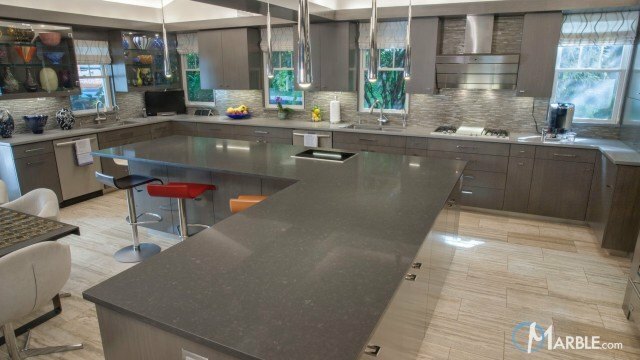 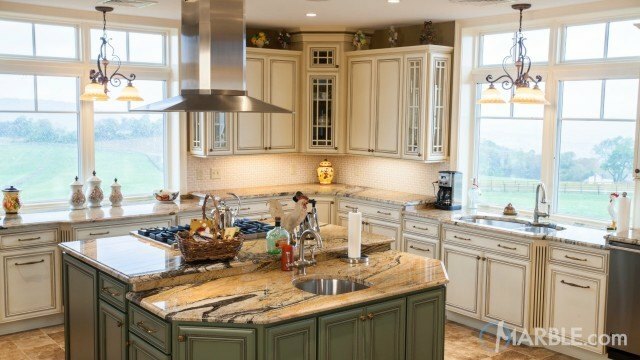 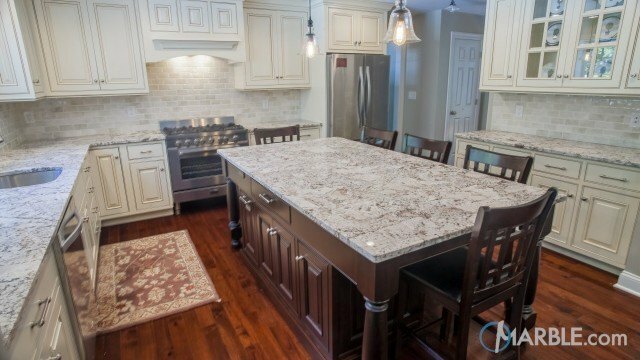 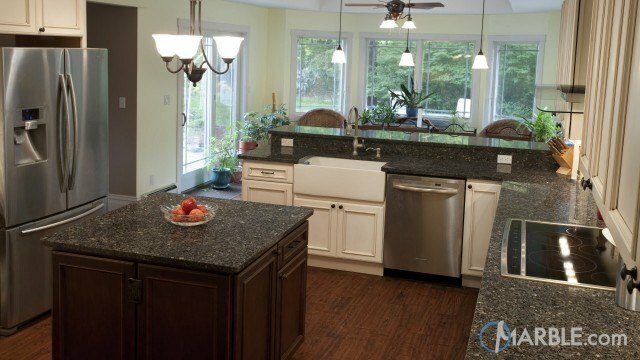 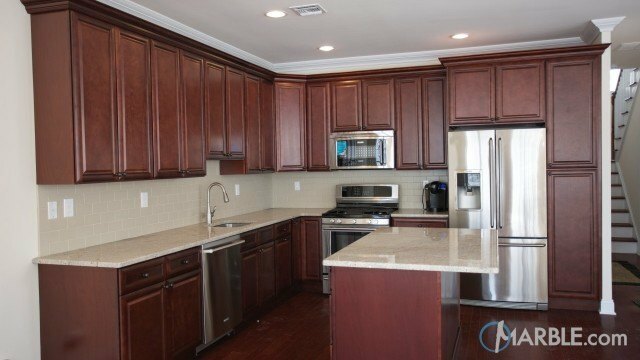 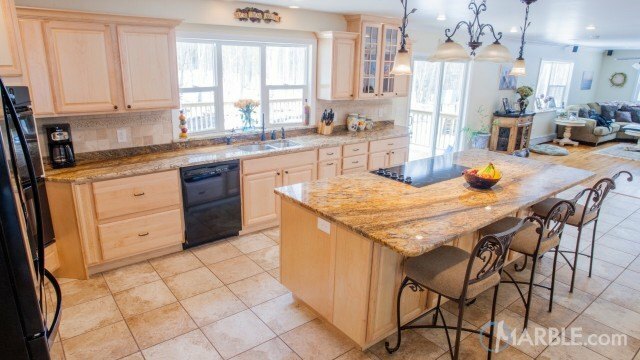 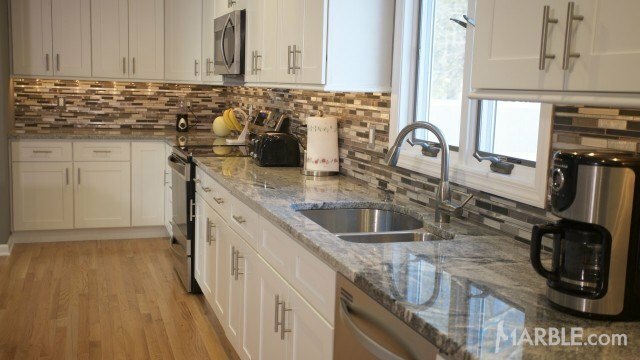 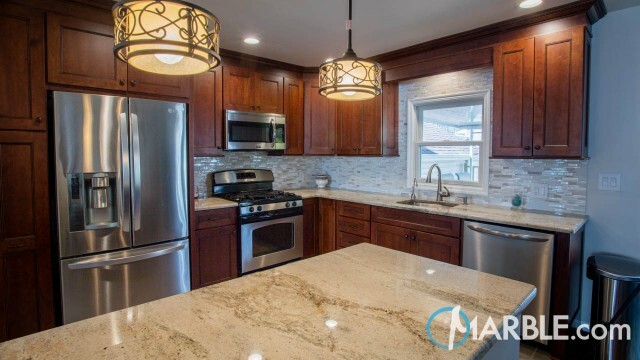 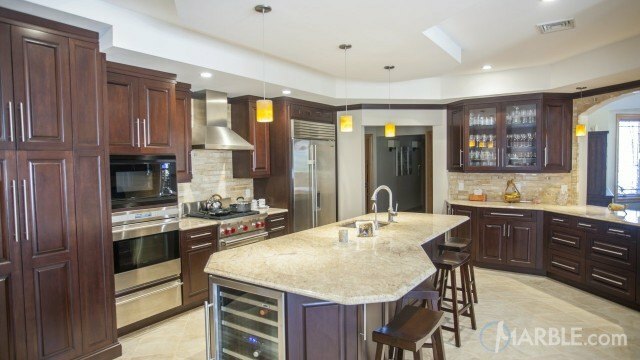 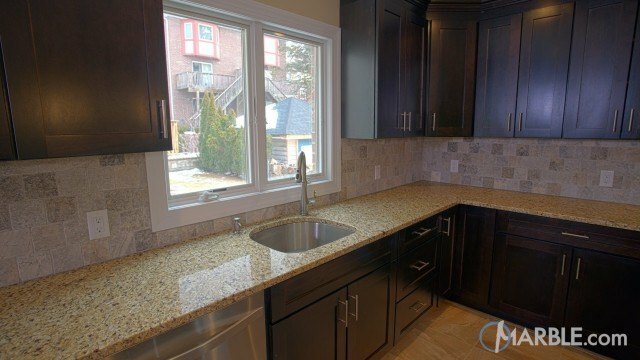 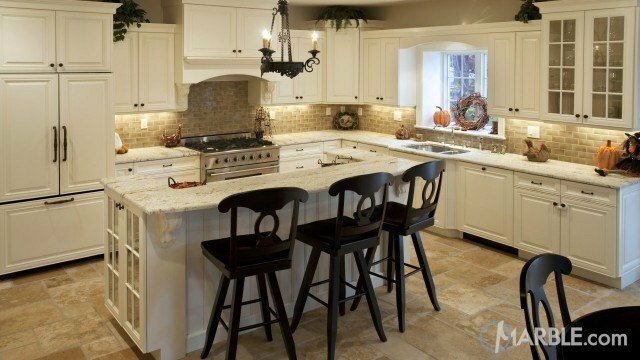 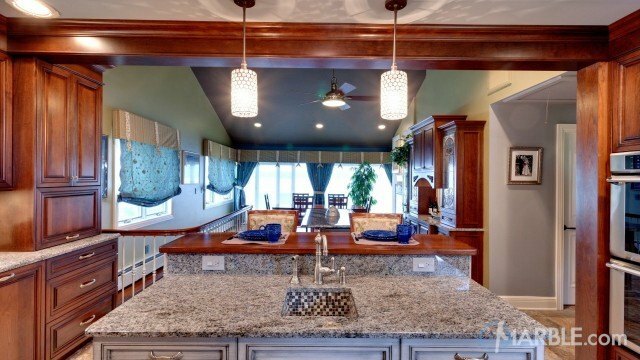 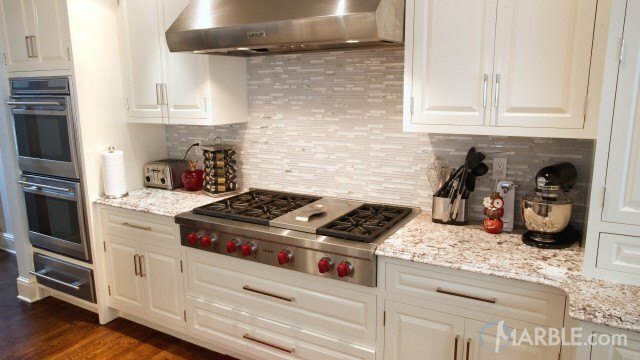 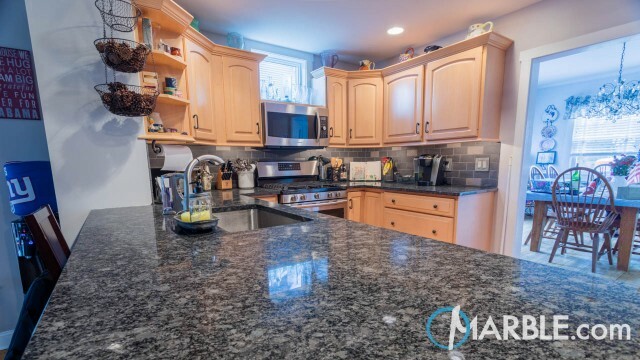 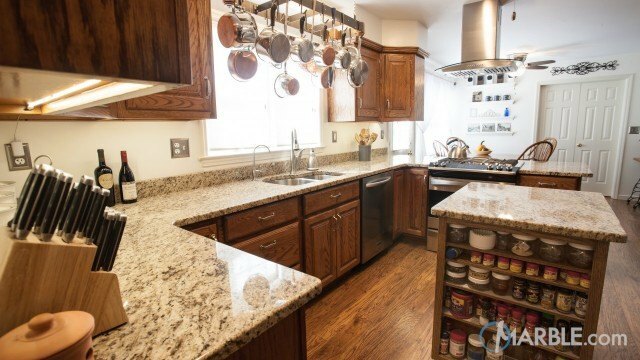 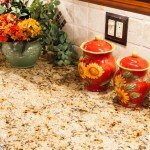 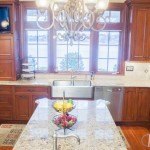 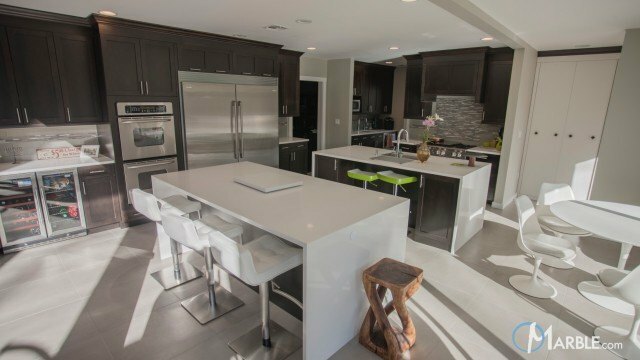 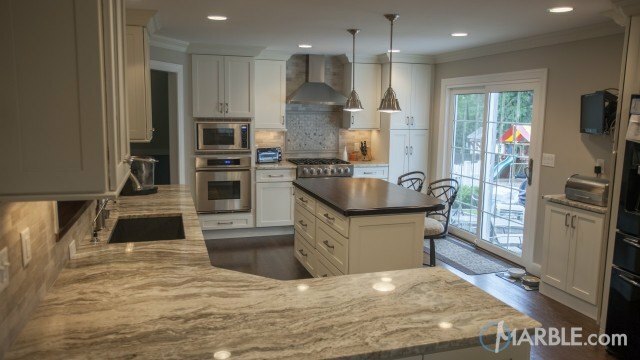 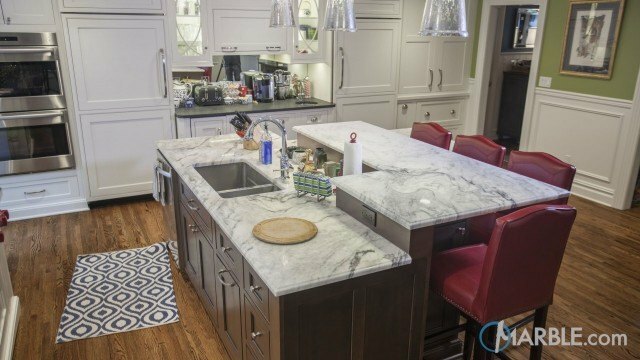 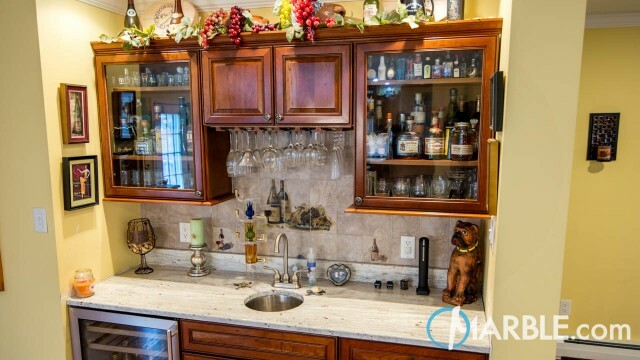 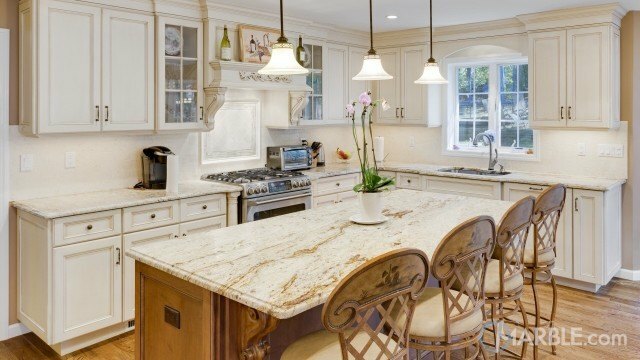 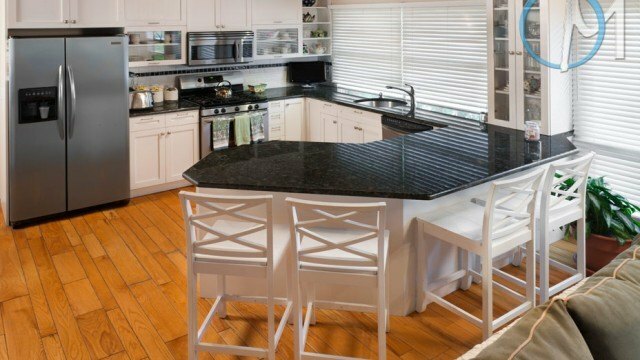 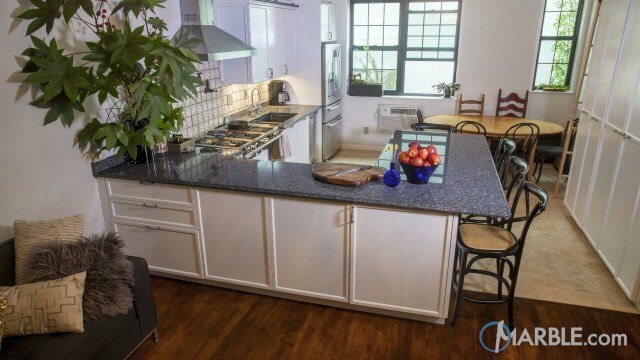 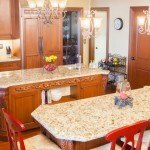 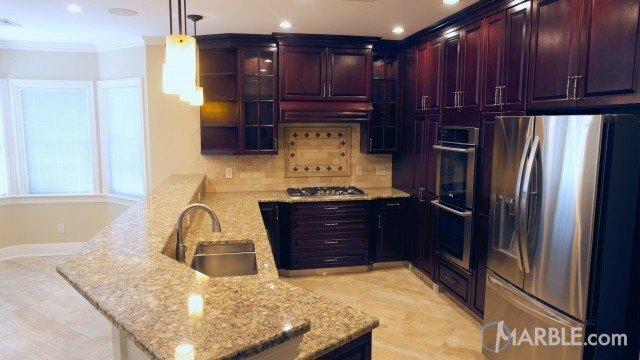 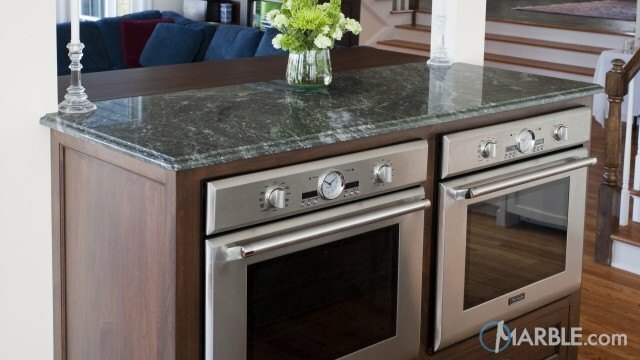 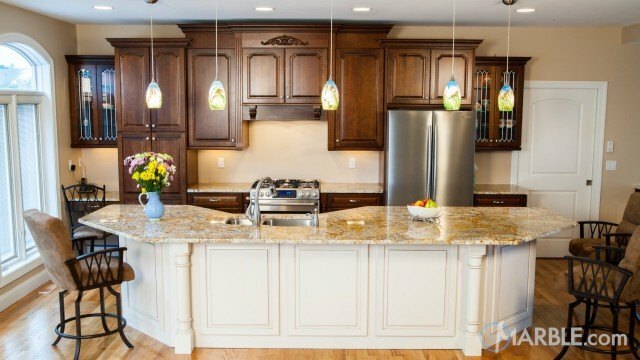 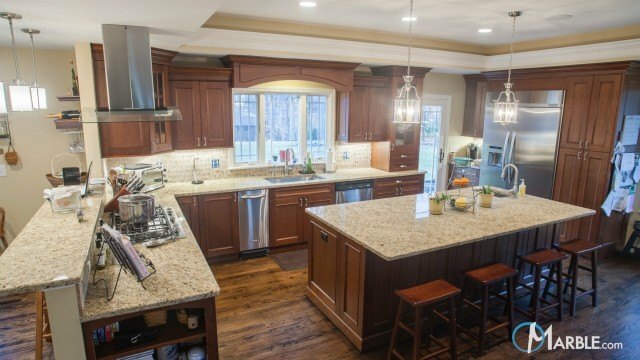 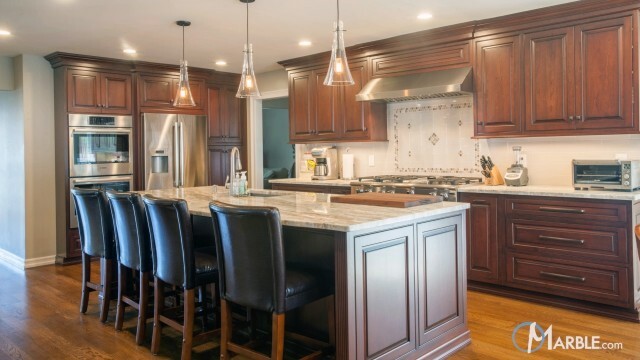 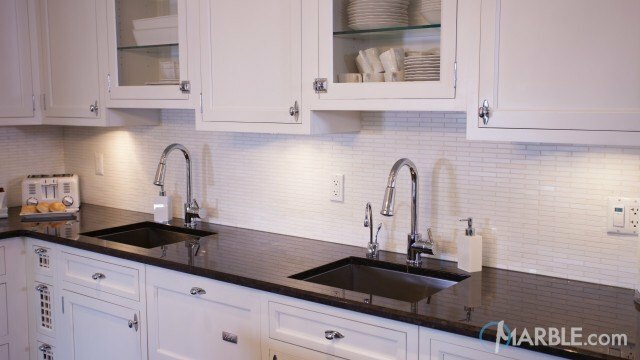 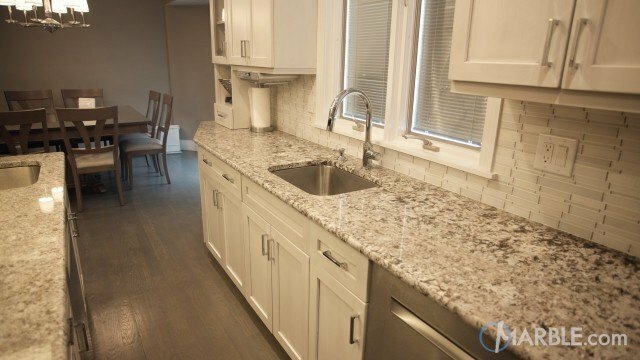 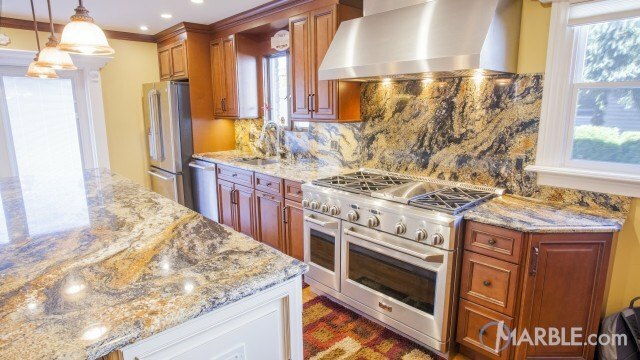 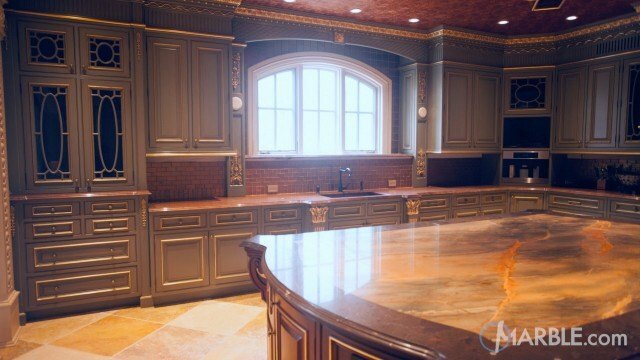 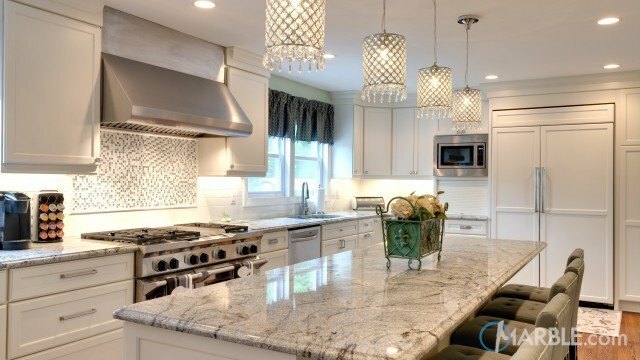 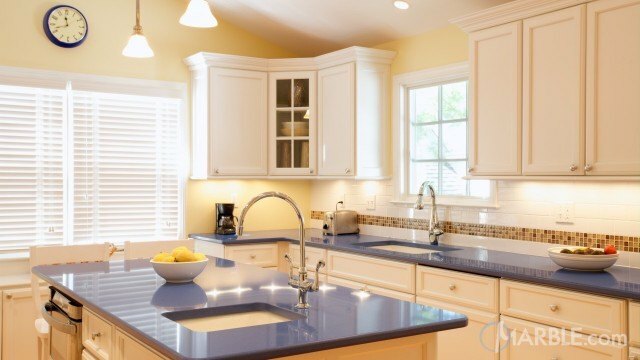 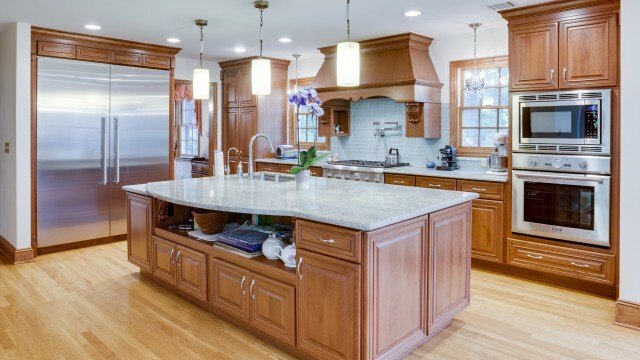 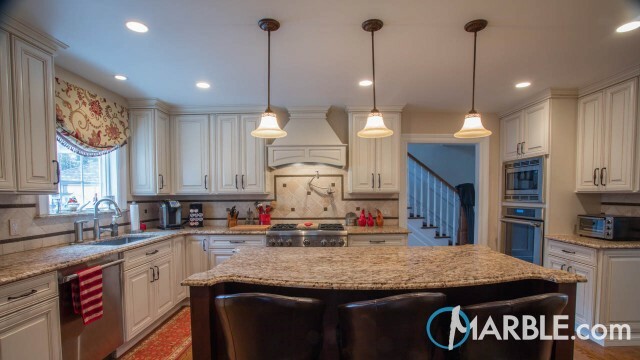 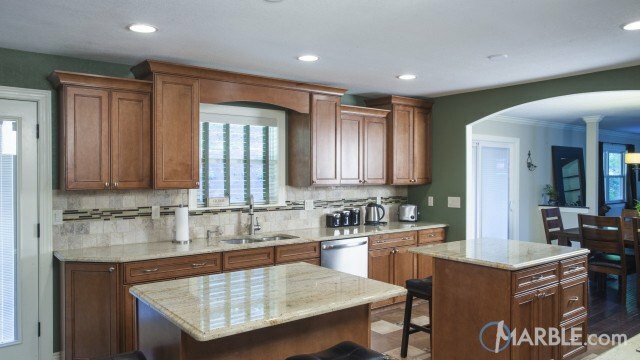 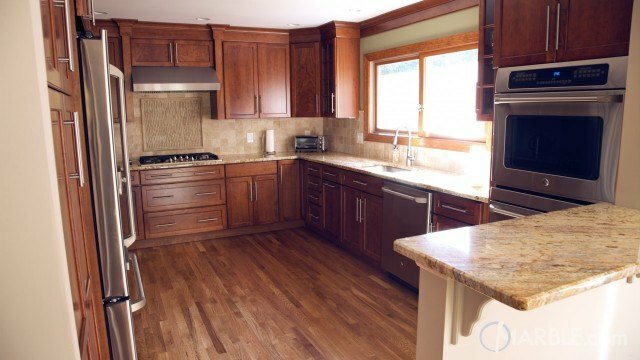 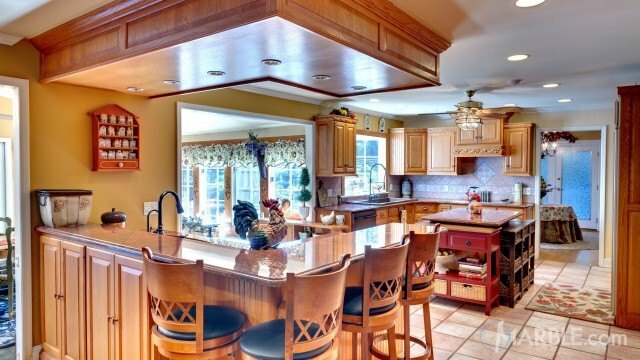 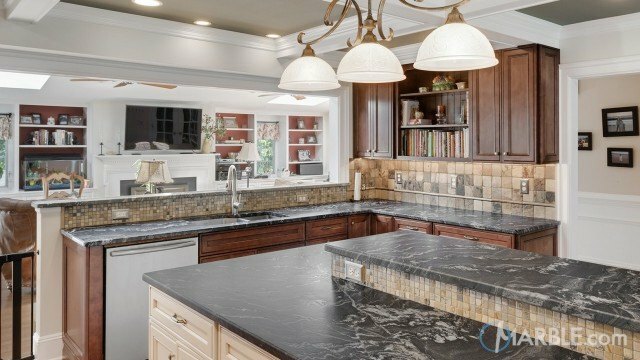 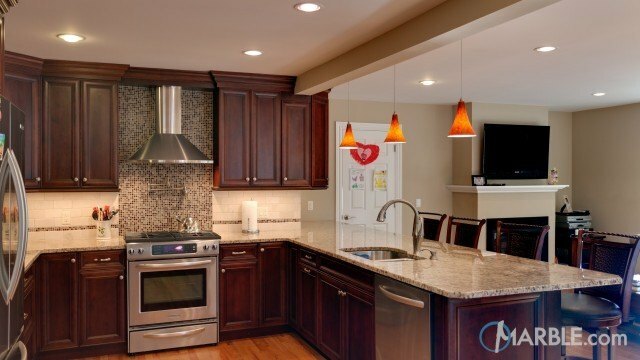 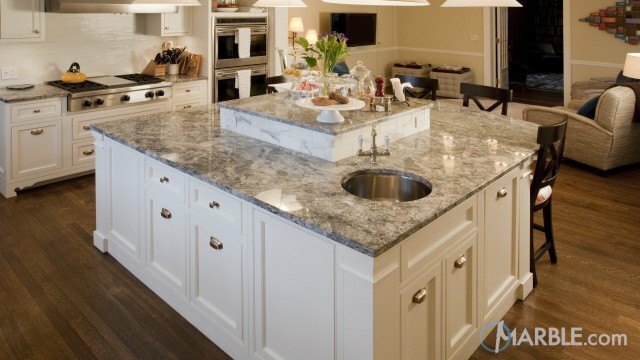 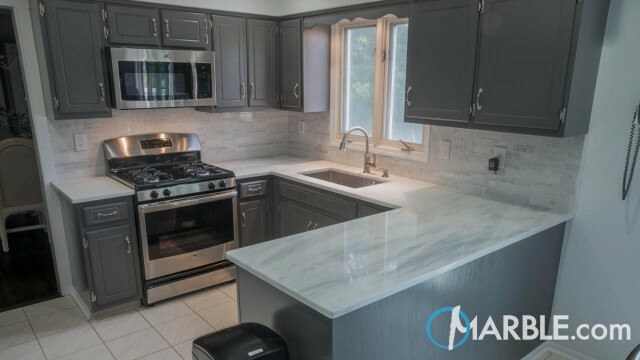 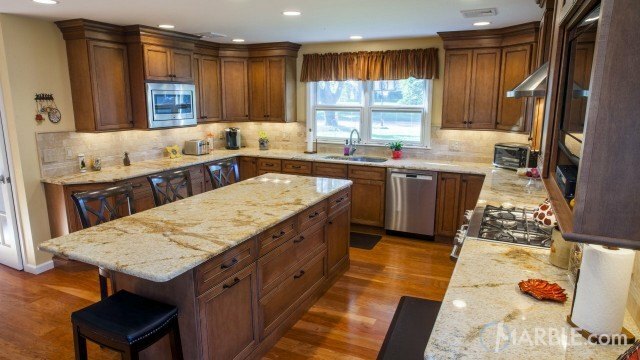 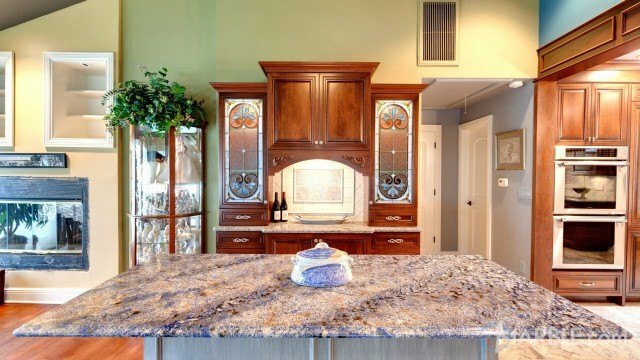 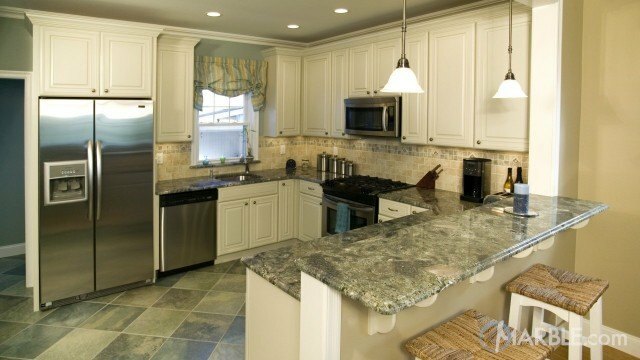 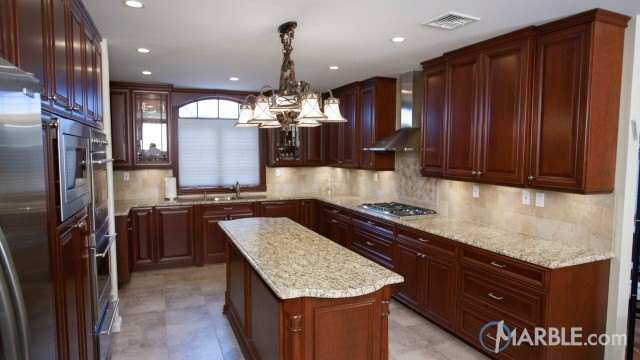 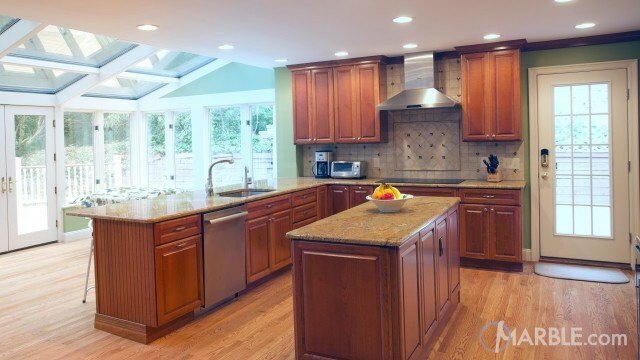 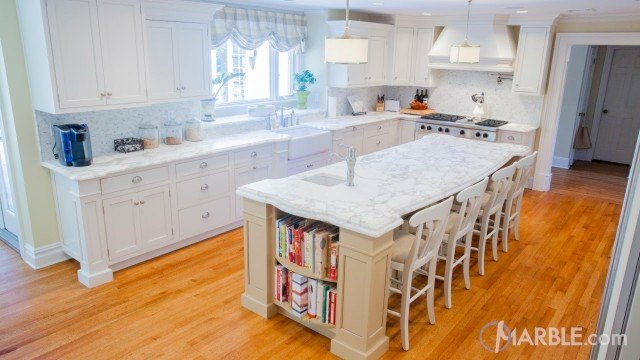 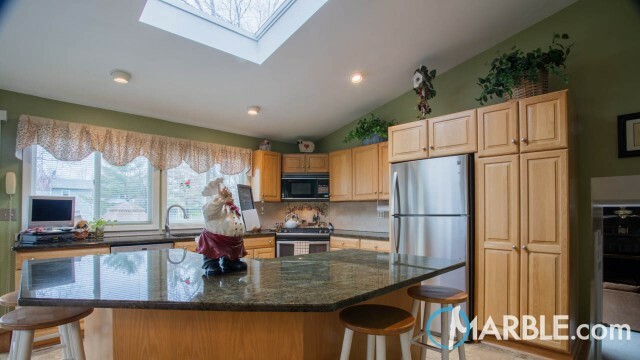 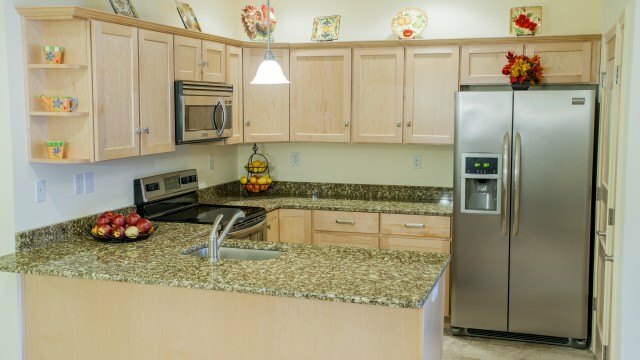 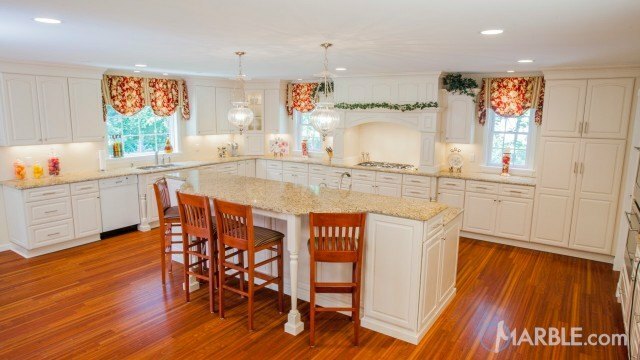 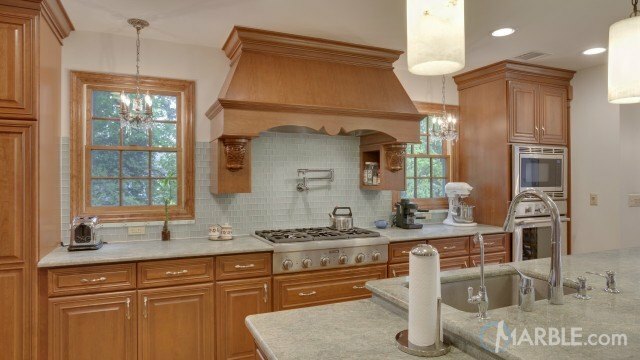 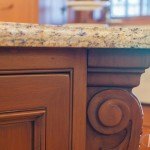 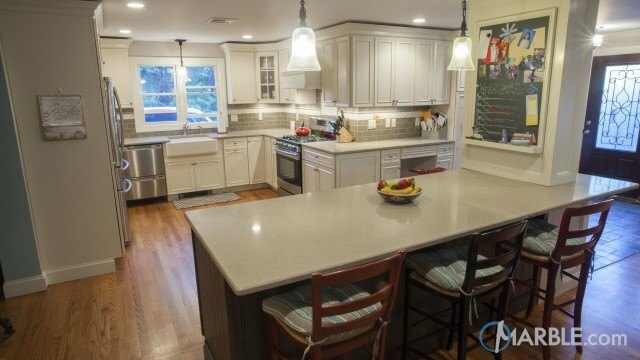 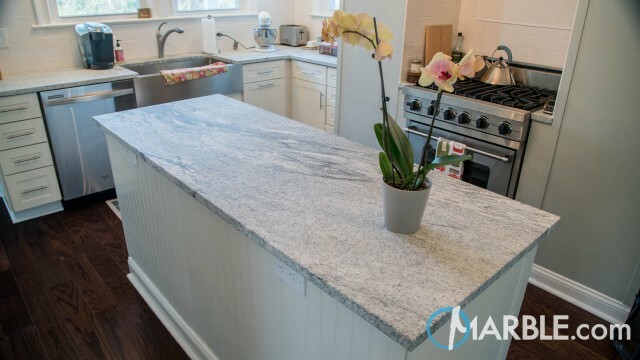 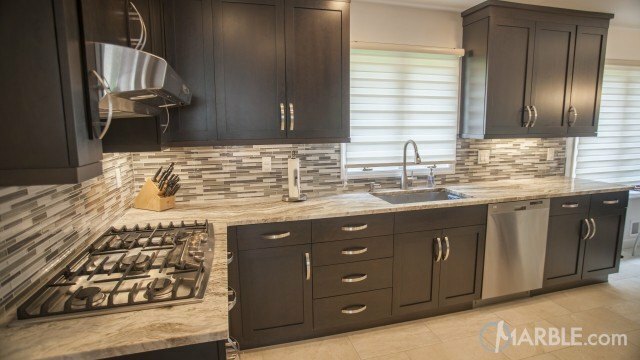 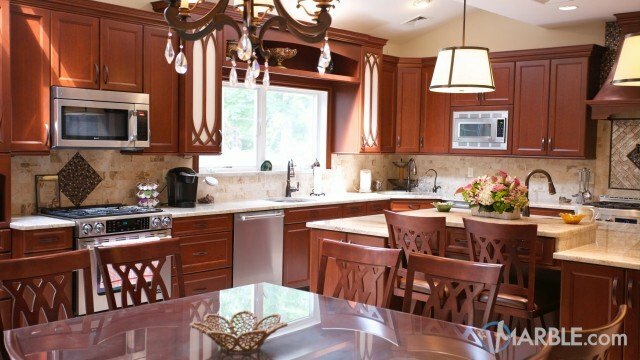 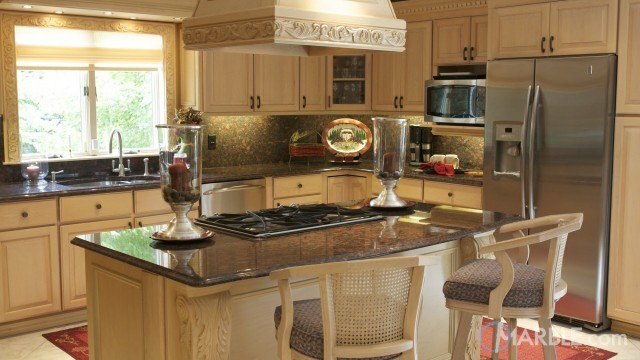 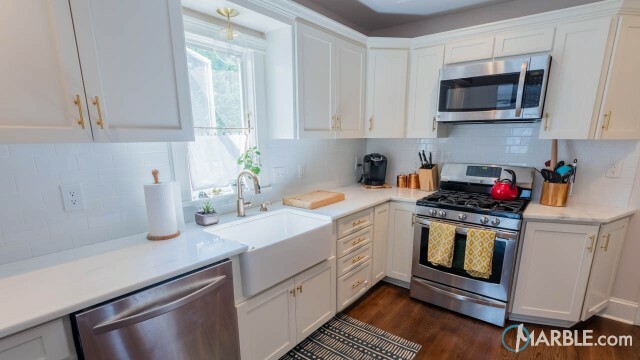 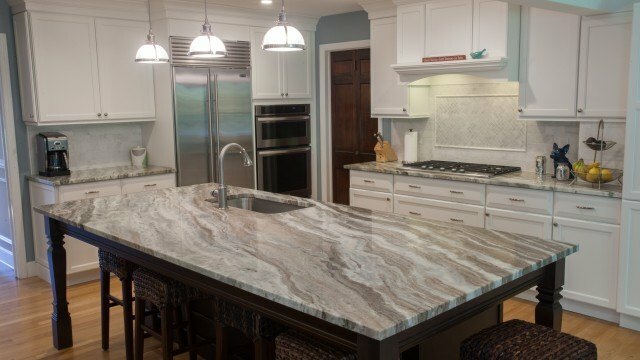 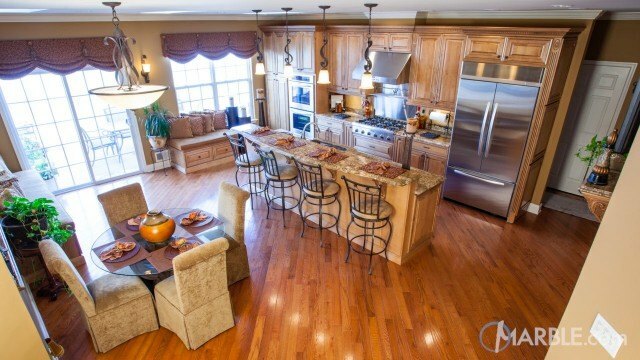 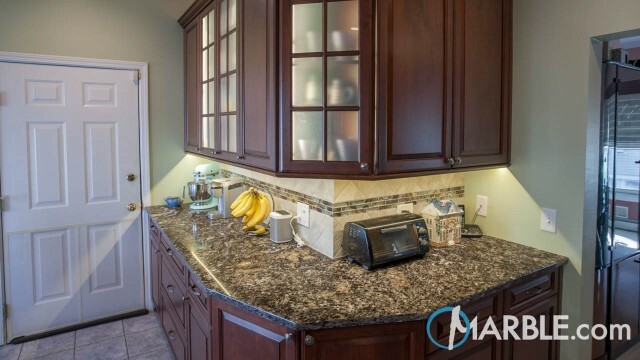 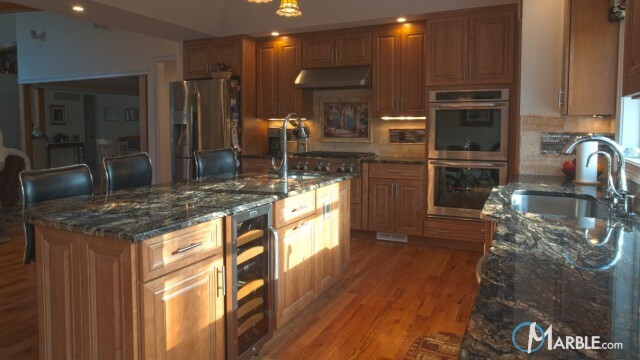 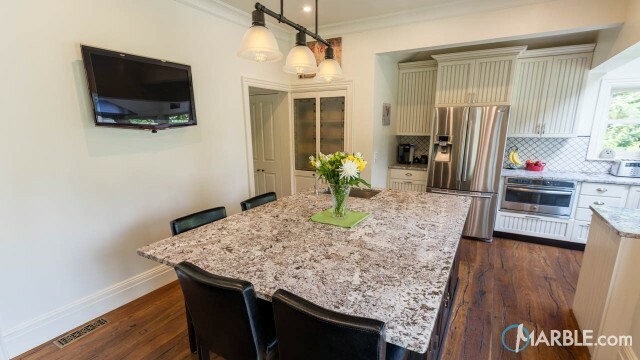 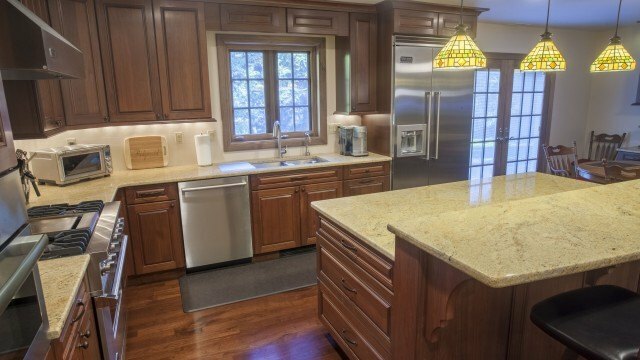 This granite matches perfectly to the oak cabinets and hardwood flooring. 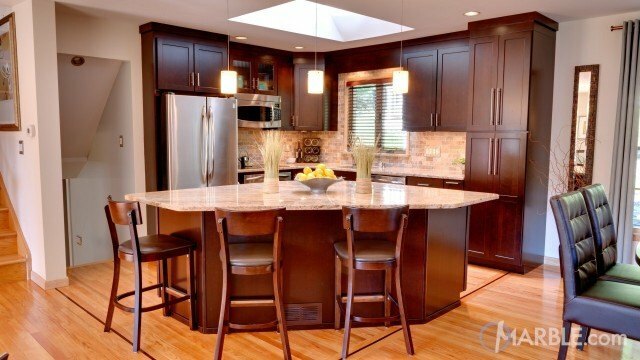 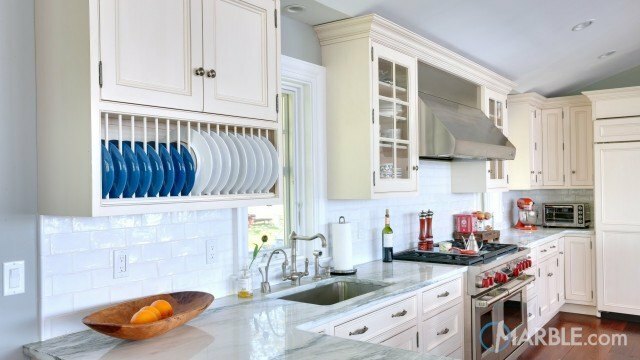 Lots of natural light and the use of many chandlers help to make this space feel warm and welcoming.